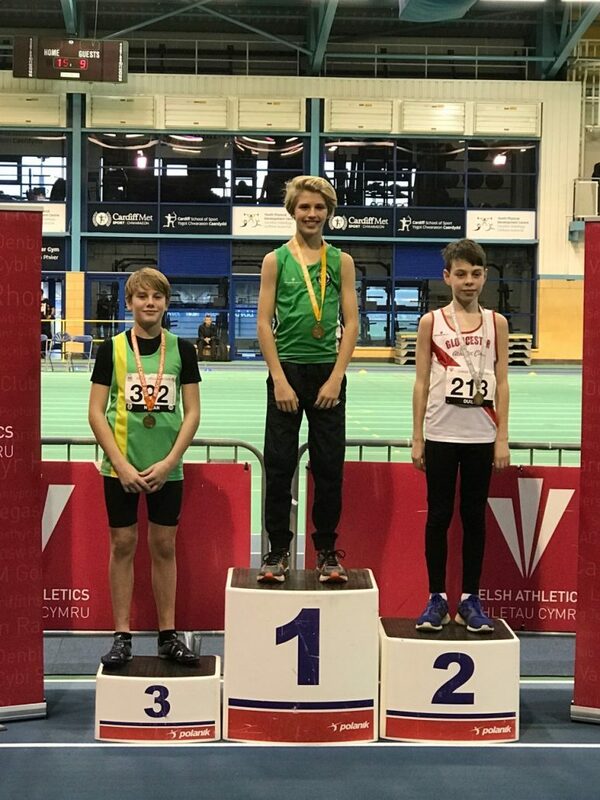 Several of our junior athletes took part in the South West Indoor Championships in Cardiff – the first competition of the 2019 season and for some of them the first time in their age group – and between them won 5 medals! 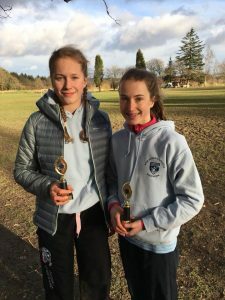 Well done to all of you, including Megan Williams and Grace Horswell who didn’t quite make it on to the podium this time, a fantastic start to the season! 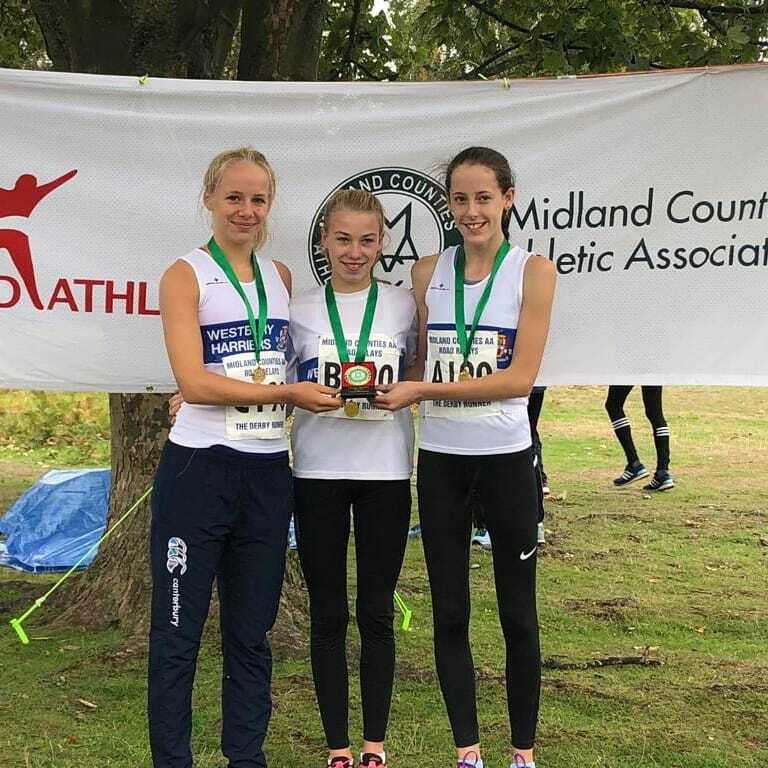 Yate/Westbury u15s Girls, Dalis Jones, Amelia Honor and Kate Howard won the Midland u15s road relays in Sutton Coldfield. Luke Ball finished in 23rd place with 2417 points in the Junior Boys Pentathlon. 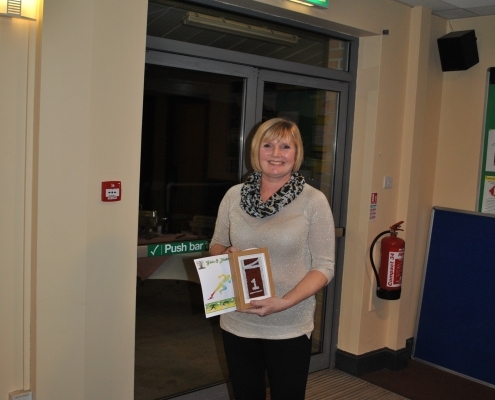 Yate pipped at the post! Yate went in to this final Avon League match at the top of the overall table with a 169.5 Match Points cushion ahead of North Somerset. 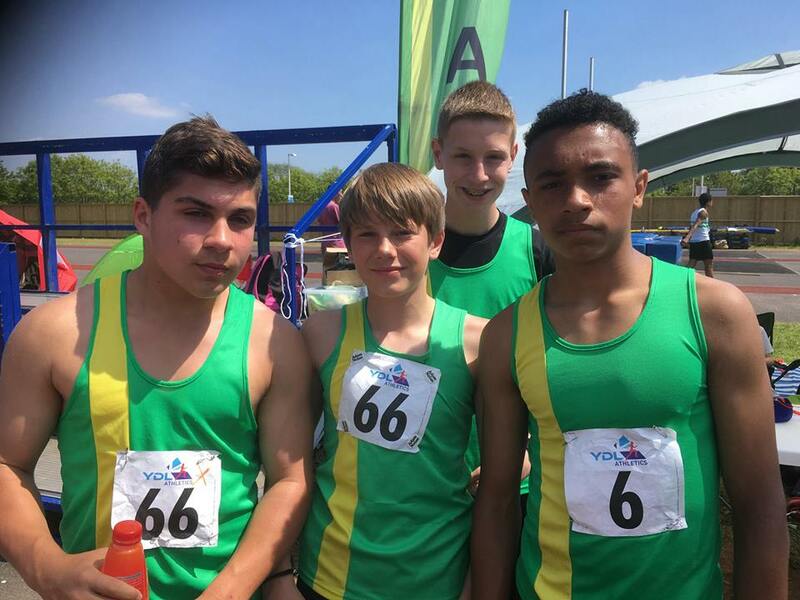 The task ahead was made difficult with the National Upper YDL Final on the same day, but the team from Yate fought bravely, with many athletes filling events they might not have even tried before! 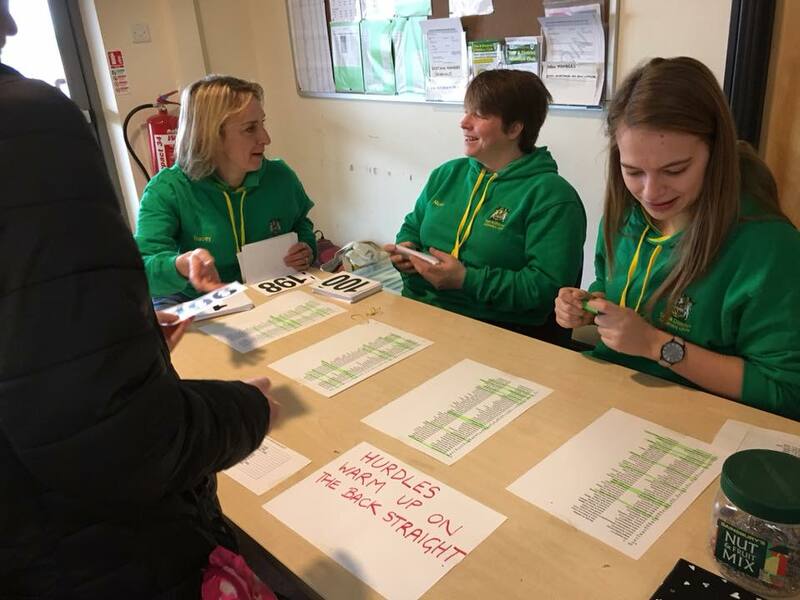 In the end, North Somerset managed to win the match with 1308 Match Points, leaving Yate in second with 1071 Match Points. 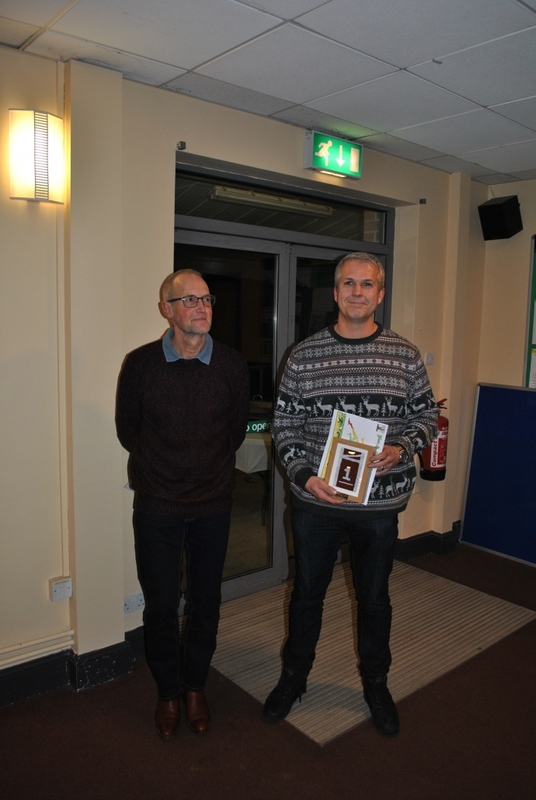 This result meant North Somerset won the overall league with 29 League Points and 4392 Match Points, leaving Yate in second with 28 League Points and 4324.5 Match Points. 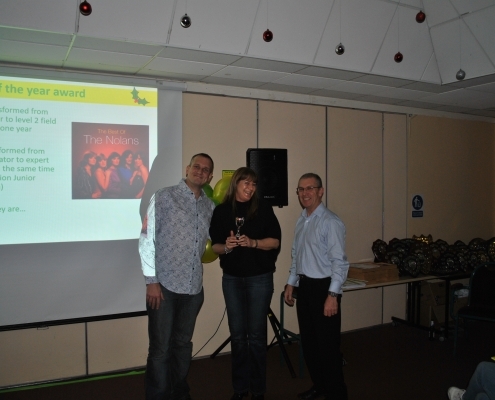 Well done North Somerset! Owen Merrett set a new PB and Avon League Record in the U15 Boys Hammer Throw, breaking the 50m barrier for the first time, with a best of 50.22m. This League Record was set last year by training partner, Toby Conibear. 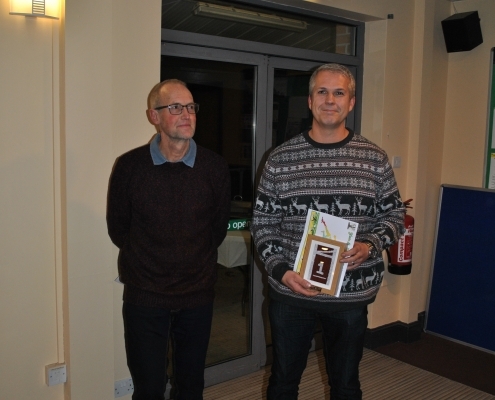 The performance was also deemed good enough to give Owen the award for “Male Performance of the match”. 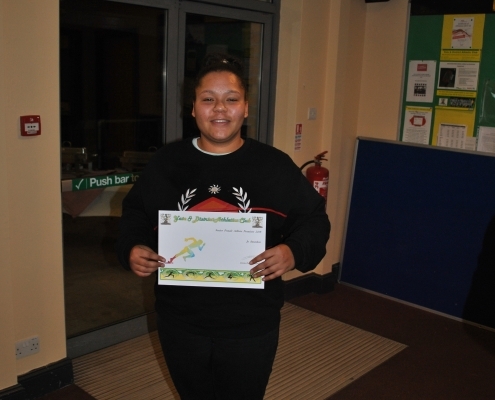 In the Girls Quadkids, Arissa Burgess set a new Club Record in the Vortex Throw with 28.03m, as well as improving her own Quadkids Total Score Club Record, from 234 points, to 238 points. Arissa is the only girl to appear in 3 out of 4 Top 10 Avon ranking lists. “TEAM AVON came top of the Midland South West Premier Division this season, thanks to some excellent performances by athletes from Yate & District AC. 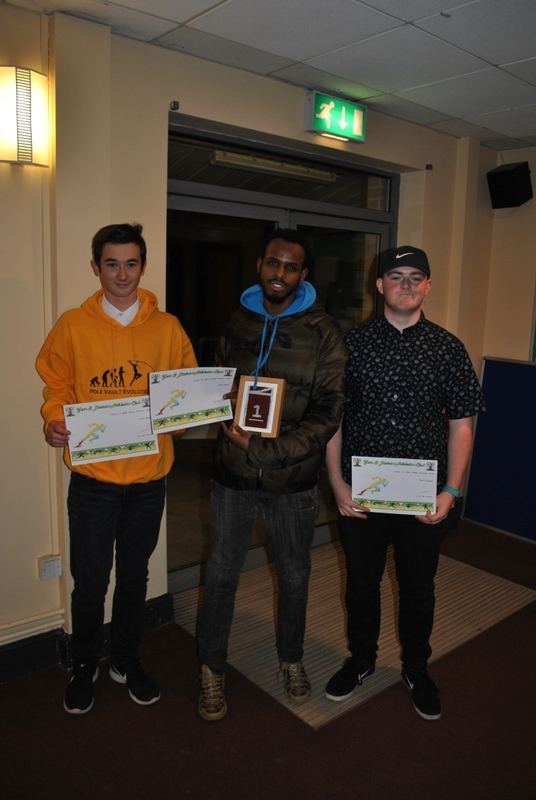 For the first time for four years we reached the National Final at Bedford on 9th September by coming second in the Midland Regional Final at Newport. This was a great experience for all the athletes who took part.We competed against teams from Edinburgh, Glasgow, Rugby & Northants, Shaftsbury Barnet and Bromley & Blackheath (the eventual winners). TEAM AVON did exceptionally well to finish fourth overall. Hopefully, this success will motivate and inspire our young men and women to continue in the sport and strive to improve even further next year. 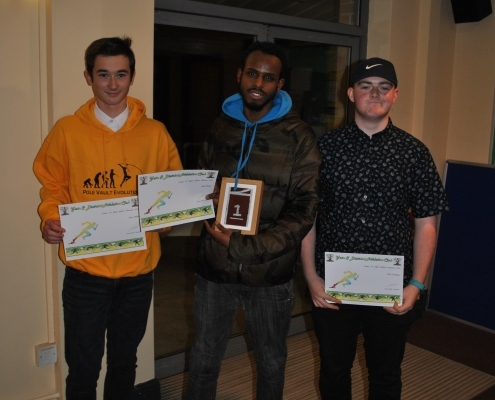 Daniel Brooks, U20 100m; Toby Conibear U17 Hammer Throw and Abdi Hasan U17 800m. These were outstanding performances. 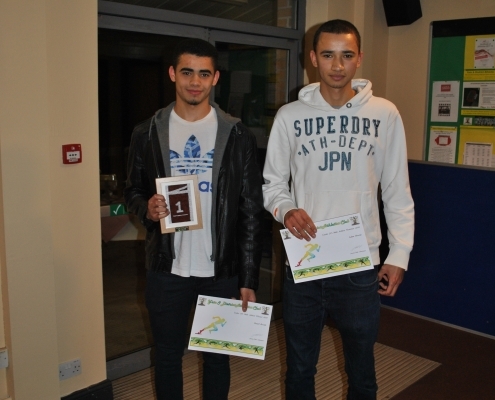 Abdi and Nathaneal also won gold in the U17 4 x 400 relay. 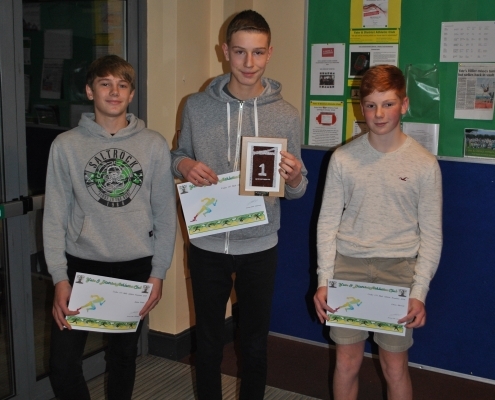 Other gold medallists in ‘B’ string events were Josh Snook (400), Jack Moore (HJ), and Isaac Cory (400m). 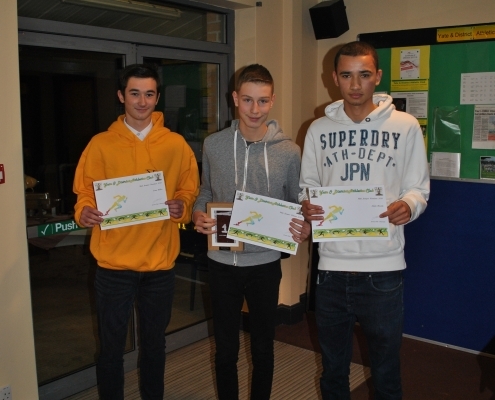 U20 men: Adam Brooks (HJ & TJ), Daniel Brooks (200m), 4x 400 relay team (Josh Snook). 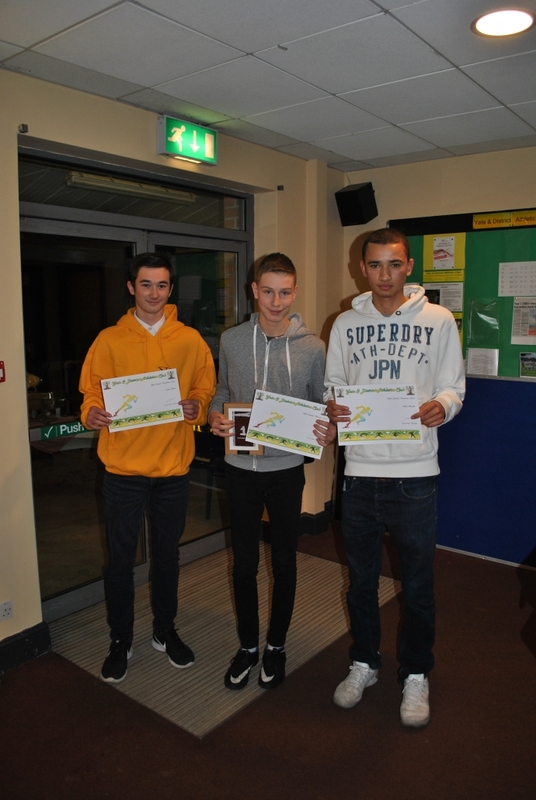 U17 men: Toby Conibear (Discus), Ben Latham (PV). 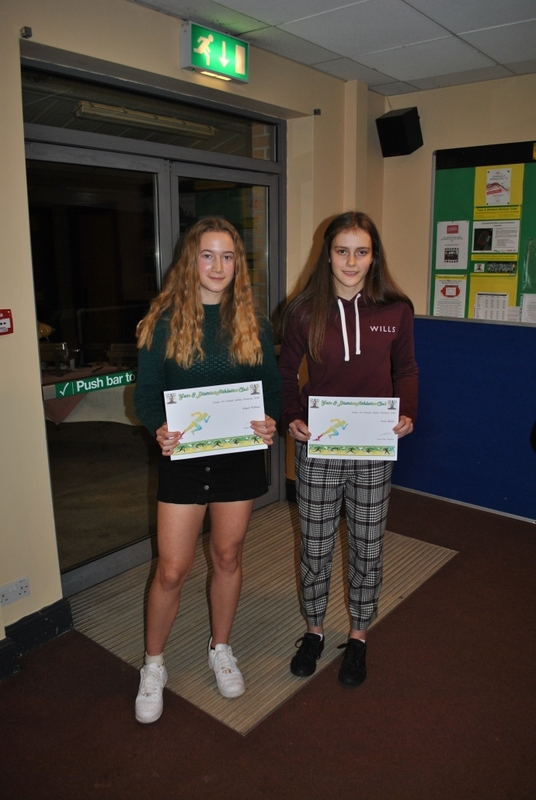 On the women’s side the best performance by a Yate athlete was by Hannah Hobbs who won a silver in the Under 20 ‘A’ 3000 metres while Lucy Durham won Silver in the ‘B’ Triple Jump. 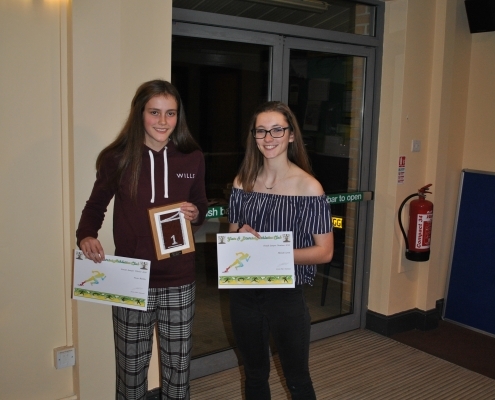 Other Yate medallists were Jodie Dale, Javelin, Megan Williams, Pole Vault, Daisy Harvey, 300 Hurdles and Emily Whittaker, 1500 S/C who all won Bronze in the Under 17 B events. In addition, we would like to thank all our faithful officials who have supported us throughout the season and earned the team vital extra points in each match. We have had a wonderfully successful season and are very honoured to say that TEAMAVON is one of the best teams in the country. Congratulations to Karen Jones who travelled to Malaga, Spain for the Bi-annual World Masters Championships. 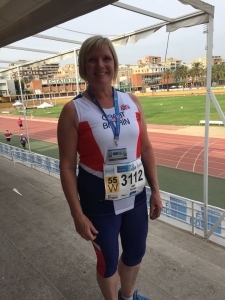 Competing in the W55 Age Category, this was Karens first time representing Great Britain in a Masters Championships. She dealt very well with nerves and threw 36.84m, less than a metre down on her PB that she set in June (37.69m). This caps off another great year for Karen. 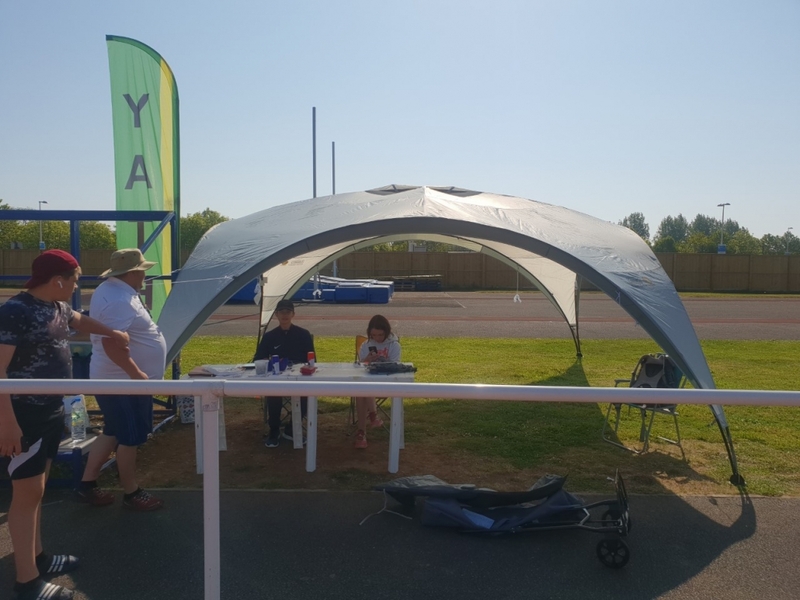 Former Yate athlete, Eugene Lawlor, the man who can be credited for bringing Hammer Throwing to Yate in the 1980’s, also competed two days previously. Eugene had been struggling with injury in the weeks leading up to the championships, but did fantastically well to finish 6th with 48.46m. In Bedford, at the national U15/U17 championships, Owen Merrett won the silver medal in the U15 boys hammer throw with a PB of 49.11m! 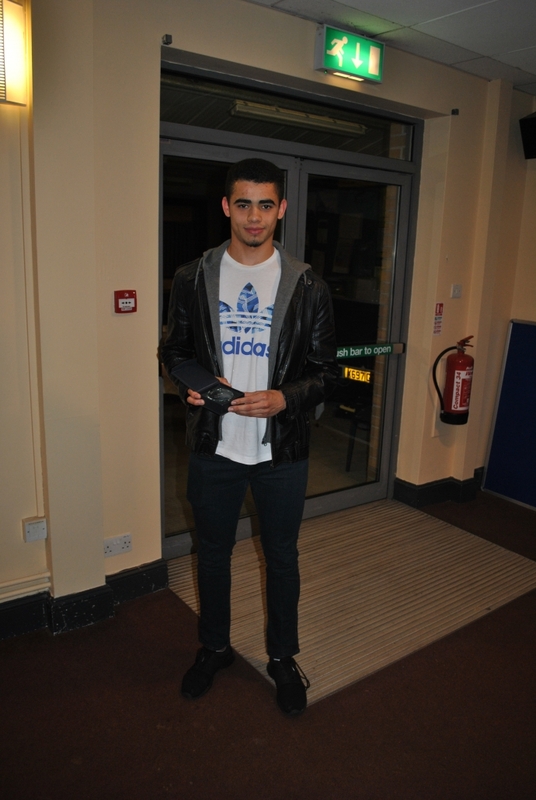 Fantastic result Owen… Congratulations! James Viner also competed in the hammer on Saturday and achieved a respectable 6th position, with a distance just short of his PB, which is a brilliant result at this level of competition. 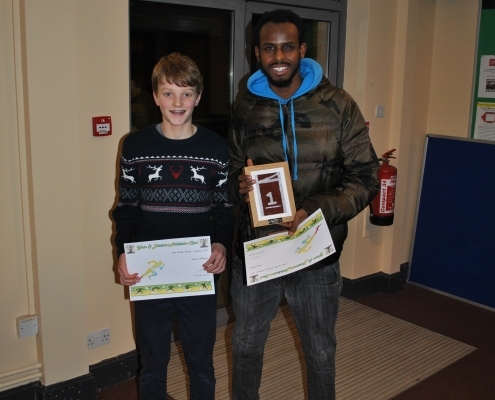 Abdi Hasan ran a fantastic 800m on Saturday in a time of 1.56.44, and qualified for the final, which was run on Sunday. Sunday was very wet but Abdi ran hard in the final, against the top 800m runners in the country, and crossed the line 8th place. On Sunday, the rain poured down! 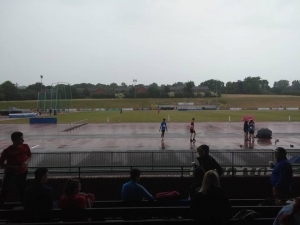 During the U15 boys high jump it looked like the officials were about to stop the competition at one point – but they and the athletes bravely continued despite being drenched and very cold, with a flooded apron and a high jump bed like a paddling pool! 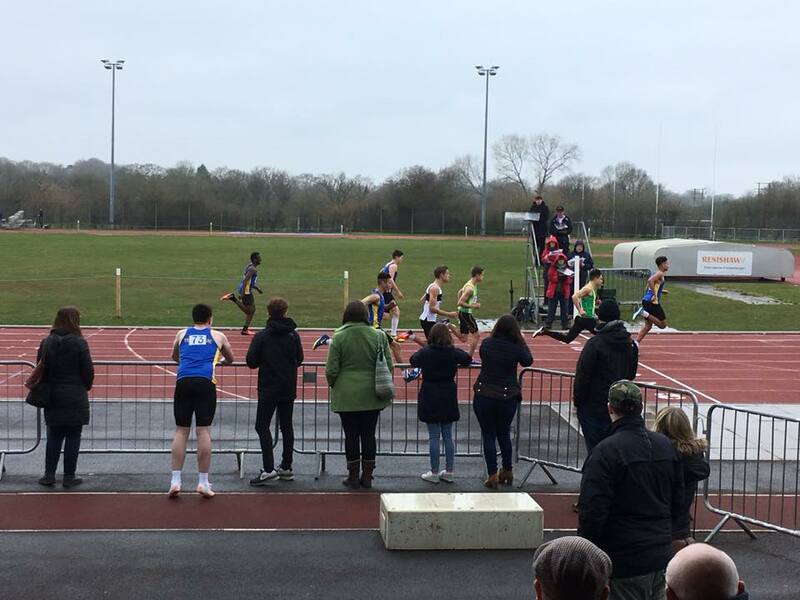 In these tough conditions nearly all the competitors were 15cm or more below their personal bests and Yate athlete Luke Ball managed a joint 7th place finish (out of 17). Which a jump well below his PB. However, in his first year as an U15 he still managed to place above the other ‘year one’ athletes so he’s looking good for next year’s competition! 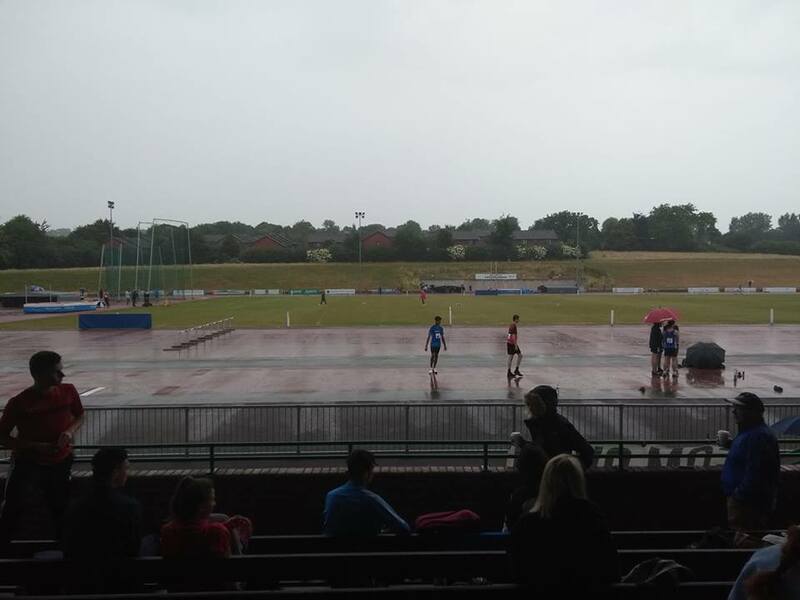 Toby Conibear, taking part in the U17 hammer, also had to compete in the heavy rain and cold, and achieved a 6th place finish, with a throw just short of his PB. Again, Toby is in his first year in the age group so this is a fantastic result for him (especially in those conditions) and we are sure he will be back at the competition next year aiming for a medal! 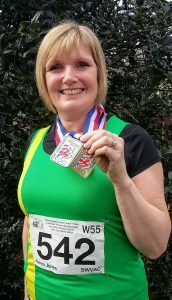 Karen was disappointed with her Hammer Throw distance, but felt as though she redeemed herself with a Silver Medal in the Weight Throw (a short, heavy hammer). Graham had entered four events, but unfortunately picked up a groin injury during a warm up. He did however try to compete in the Javelin and bravely managed to record an extremely respectable 28m (standing) throw, just five metres away from a medal! 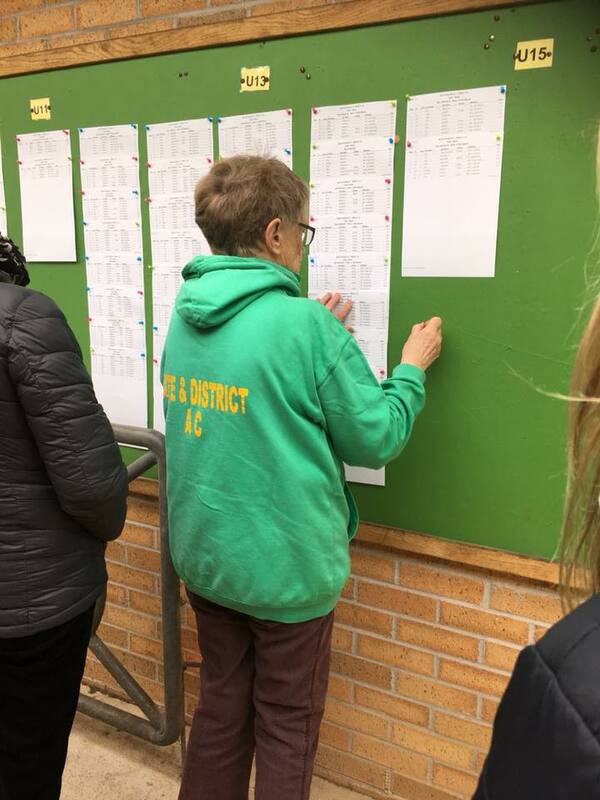 This third match saw Yate climb to the top spot overall, thanks largely to the U13 Girls, Senior/Veteran Women and U15 Boys, who are all curently winning their respective Age Groups. On this occasion, almost every group improved on their result from the previous match, with maximum points scored by U13 Girls, U17 Women, Senior/Veteran Women, U15 Boys, U17 Men AND Senior/Veteran Men! 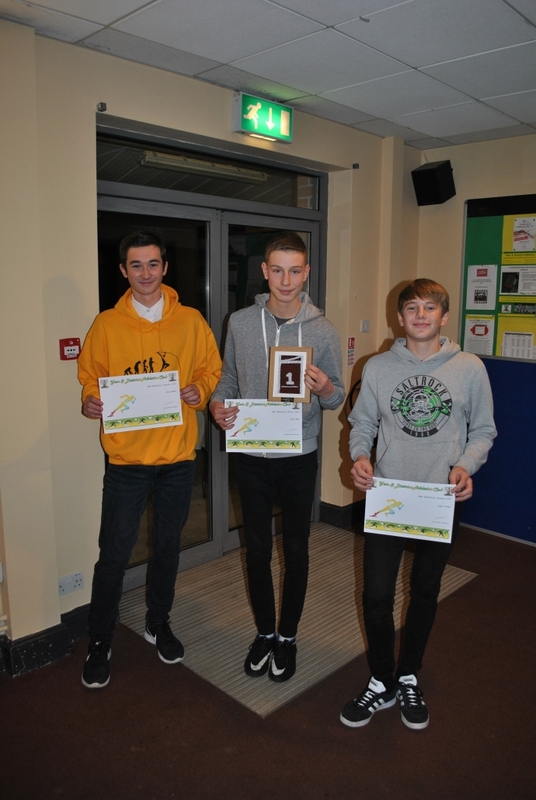 Worthy of particular mention are our U15 Boys, who have scored maximum points at all three matches. 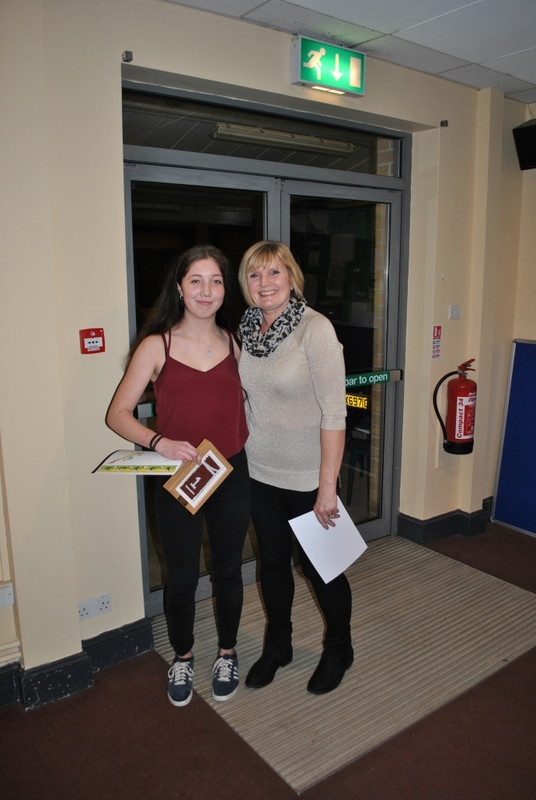 Also Jodie Dale who achieved an Avon League Record in the U17 Javelin, with 36.11m, also improving her own Club Record in doing so. Congratulations to Liam Hillier for completing his first decathlon at the England Championships this weekend with a great overall score of 4237 points. 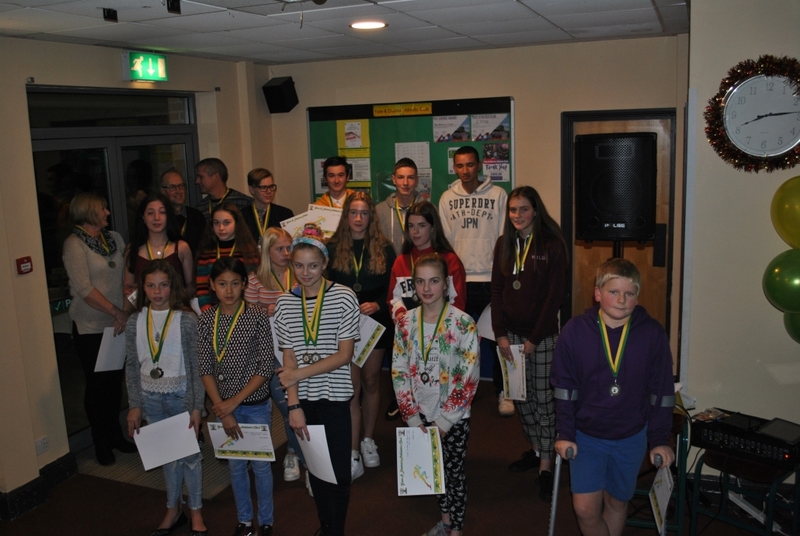 It was a tough competition… over half of the athletes taking part were in the year above Liam and temperatures reaching 30 degrees at one point. Liam finished in 15th place, with a fantastic 5 new PBs, as well as TWO NEW CLUB RECORDS – in pole vault (3.27m) and the overall Decathlon score! Liam is currently 18th on the UK U17 decathlon rankings, with only six ‘year ones’ ahead of him! Huge well done to Liam, and to coach/mum Sam! Great to see a Yate vest at this national event! 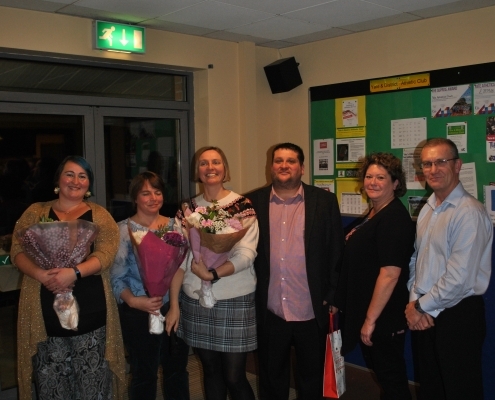 The joint Bristol & Yate team travelled to Nottingham hoping to retain their League Champions title from last season. At the half way stage during this final league match, things were looking good, as we were in third position and our nearest rivals, Birchfield, were in fourth. However, despite people filling in events way beyond their comfort zone, we just fell short of retaining the title, finishing fourth (327.5pts), while Birchfield finished second (358.5pts). 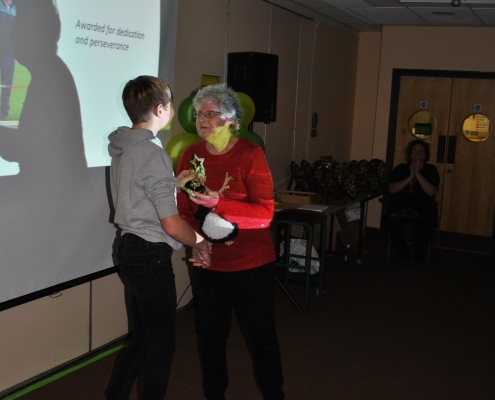 Athletes worthy of special mention are the two U17 athletes Toby Conibear and Lewis Wall. Both athletes had travelled up to compete in throwing events, but bravely stepped up to fill the empty 3000m Steeplechase spots. Their heroics meant we beat Birchfield in that particular event. A valiant defence of the Midland Athletic League title but pipped at the post in the end. We were first in the league entering the final match of the year by the narrowest of margins from Birchfield and it was all about where we finished up relative to one another for the title. We led Birchfield for about 2/3rds of the day even though we were both in unfamiliar positions of 3rd and 4th, but in the end our injury weakened and smallest team for a while got pipped, but still took a worthy second in the league. We were either first or second in the league all season confirming we are one of the main players on this league while also knowing how to enjoy ourselves. 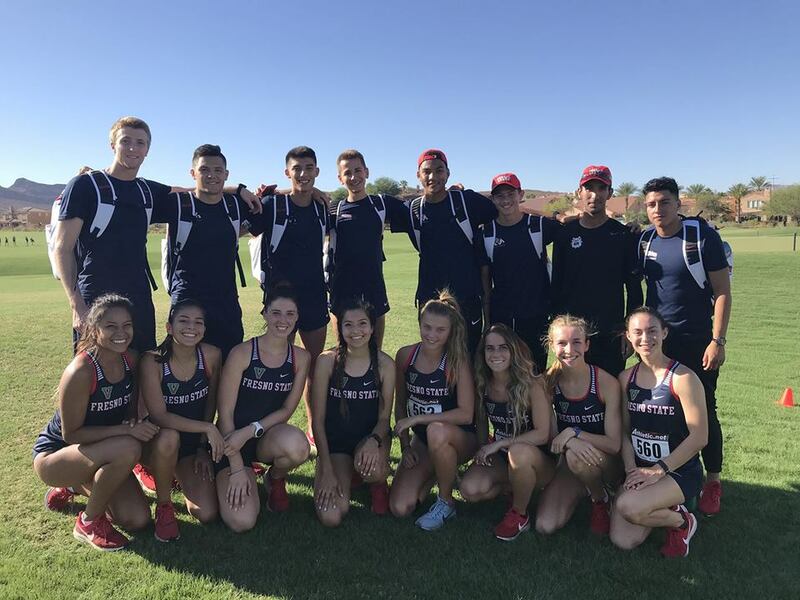 Through the year we introduced a significant number of new athletes to team athletics from U17’s through seniors and Masters backing up our longer serving contributors. We always have highlights at every match, but two U17 throwers volunteering themselves for the 3000m steeplechase to try and retain the title is very special. 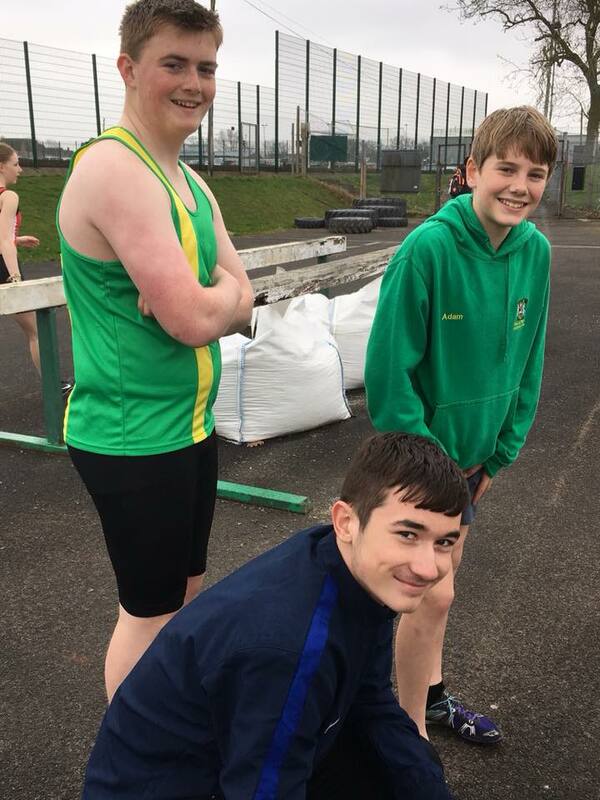 Toby Conibear (Hammer) and Lewis Wall (Discus) were full of enthusiasm before the event and even when the reality of what they were doing hit them in the race, they kept going in real pain and brought home more points home than Birchfield. 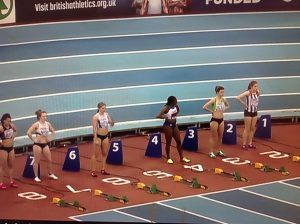 We had a similar situation at Match 2 in Wolverhampton when 4 female athletes volunteered to cover the 100mH and 400mH hurdles between them. You know you have a team rather than a group of athletes when things like that happen. Late injuries on top of the ‘August effect’ hit us hard and we had lots of multi-eventing going on as well as athletes being moved unexpectedly to the team. U17 Aaron Belchamber came along to his first match as a guest in the 100m and 400m but was told he was 400m B string when he got on the coach, and then A string an hour before the event to be backed up by M60 Pete Mountain to help keep the points coming in. Daniel Gregory was another debutant who expected to do a hefty four events but ended up doing six with Notts showing great sportsmanship by loaning him a pole to compete in the pole vault. 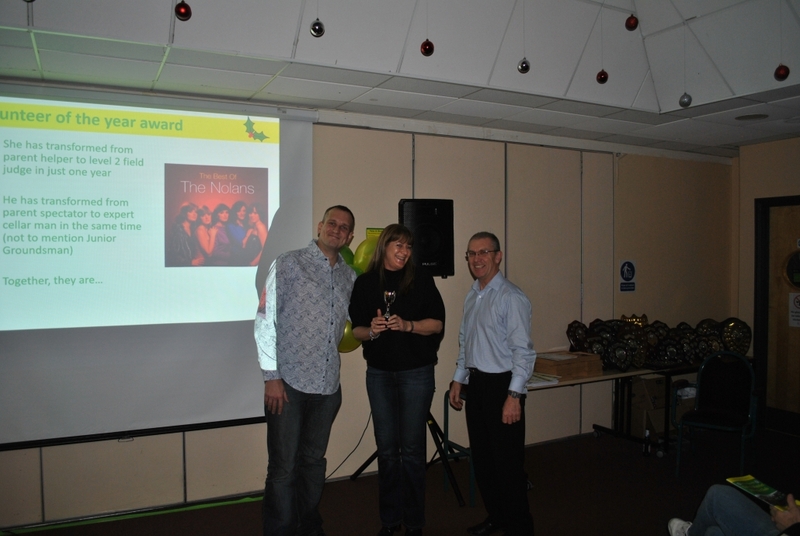 Tia Jackson is one of our most consistent high performers across multiple events and this match was no different. When asked if she could do one legal High Jump for points, she gladly went off and just stayed ultimately taking second place. Great talent and a great attitude combined. 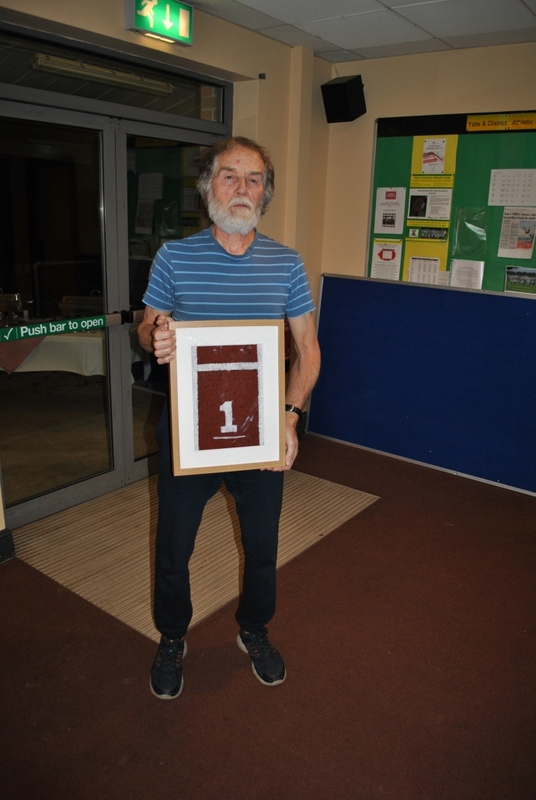 Dan Brooks has competed in and won all four A string 100m races and also ran every A string 200m race recording two victories. Given the clubs we are up against in this Division that is a fantastic consistently high level of performance. Lucy Durham and Matt Spicer are two athletes who are always there for us, and this match and season was no different. 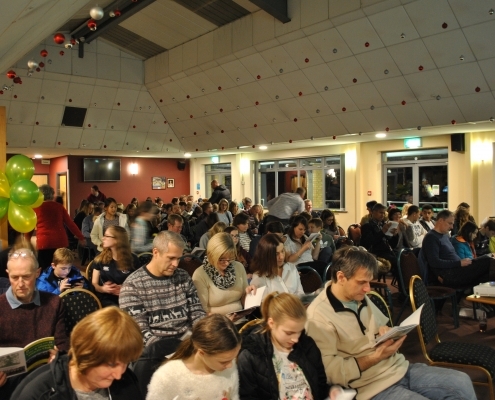 Lucy covered ‘extra’ events as she has often done over a number of years, and at the other end of the age range, Matt did his normal ‘Mr Versatility’ act of throwing anything that needs thrown. We rarely reference specific performance levels but some things come along that deserve special mention. Adam Brooks (HJ) cleared 2.00m for the third time this year taking an A string win backed up by Jack Moore winning the B string in one of our many double wins of the day. Both Adam and Jack were multi-eventing as well. Our U17 Abdi Hasan ran a PB of 1:55.5 for the 800m which is a remarkable time and the face of the runners behind him as he moved away from them was a picture. 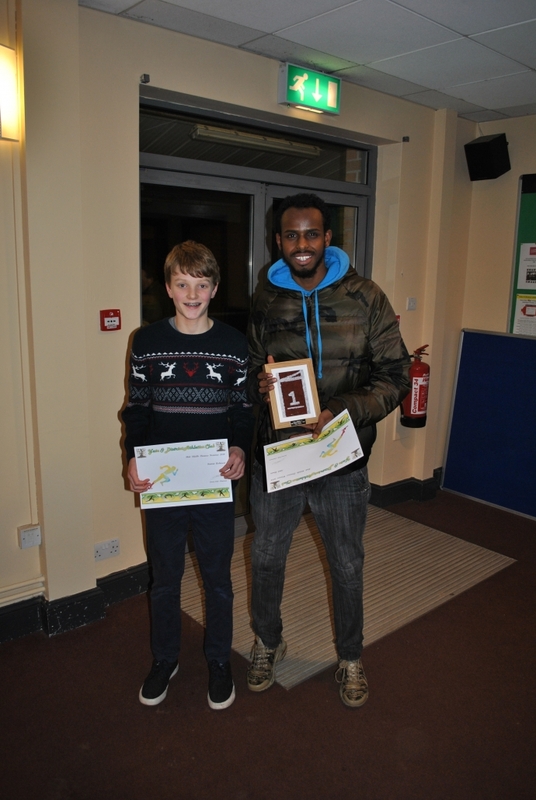 Abdi also ran the 1500m (SB) and 4x400m relay to celebrate. 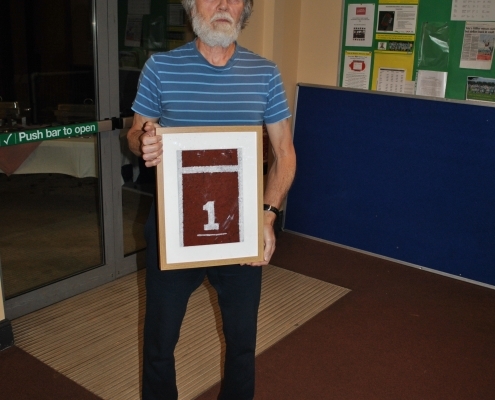 To continue the theme, Mike Proffitt won the 800m B string, ran the 1500m for fun and then also did the 4x400m relay. 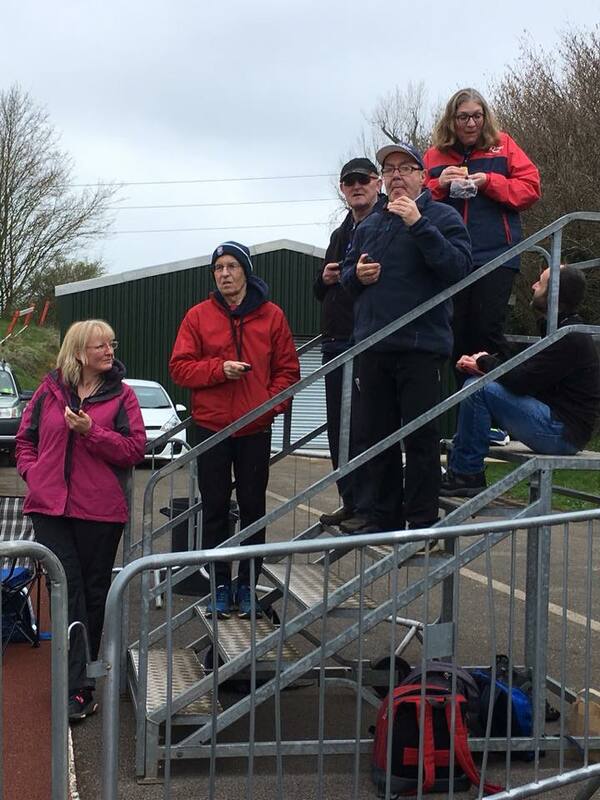 Thanks again to Pat, Tony, Bev and their team of officials who make it possible for us all to compete and ensure maximum officials points every time. 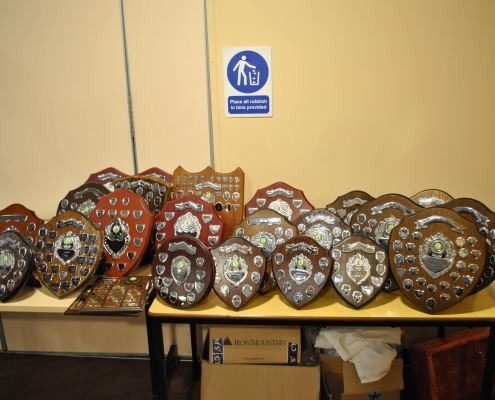 Another fine year completed and we look forward to next year where we will see Cannock & Stafford back with us and Abingdon AC as new faces, with Cheltenham & County and Wolves & Bilston being relegated. 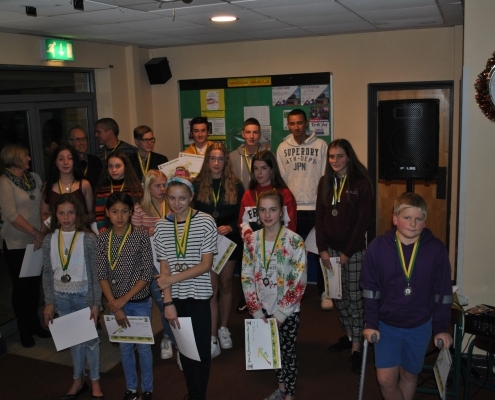 Westwood & Merrett strike double-gold, as Yate bring home twenty one medals! 9 Gold, 3 Silver, 9 Bronze. THREE MEDALS FOR YATE AC ATHLETES! 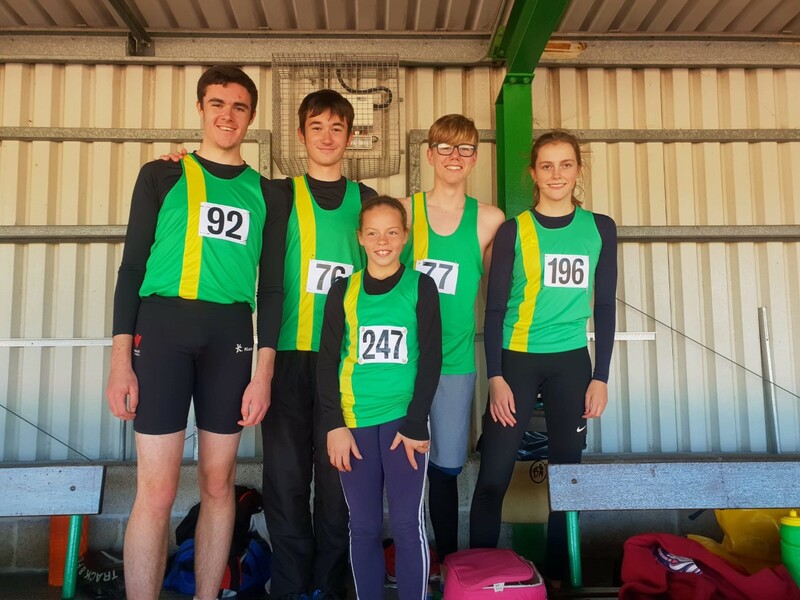 There was no need to worry about superstition, with 13 Yate & District Athletic Club athletes competing on Friday 13th and Saturday 14th, at the biggest Schools Championships of the year…, THREE Yate athletes returned with a medal! First up early Friday morning were Owen Merrett and James Viner in the Junior Boys Hammer. This duo are well used to training and competing together, with varying results. Ranked second in the UK going in to the competition, on paper, Owen was actually favourite for the Gold medal, as the top ranked hammer thrower is also the top ranked thrower in the country for his favoured event, the Shot Put (athletes may only enter one event in these championships). 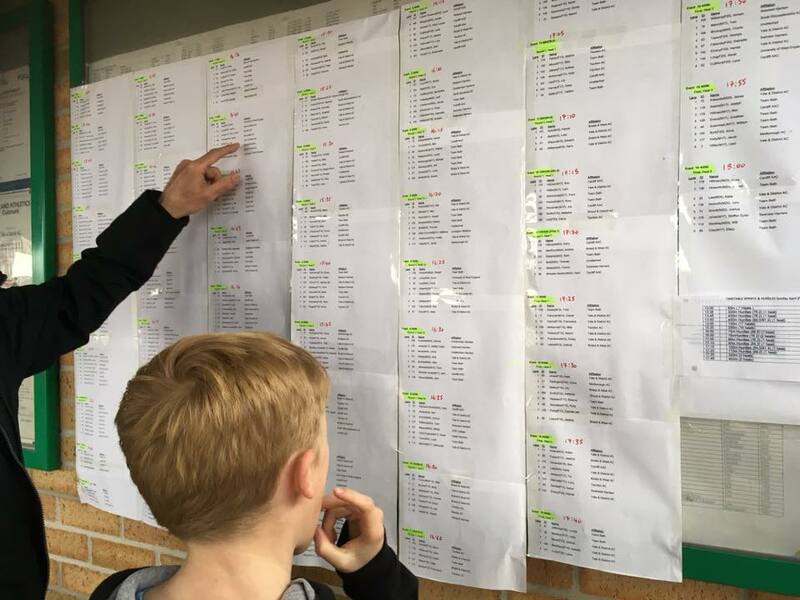 The form books were ripped up in this competition, as the eventual Gold medal winner improved his PB by a massive five and a half metres, which meant going in to the final round, Owen was in the Silver Medal position. Unluckily for Owen again, the Gloucestershire athlete produced a big two metre PB, leaving no opportunity for Owen to reply. He must however feel extremely pleased with the Bronze. James had a magnificent competition and should be extremely happy with his new PB and fifth place. He is now just centimetres away from that 45m National Standard! Being bottom of the age group this year, last years Silver medalist, Toby Conibear, had to fight hard to make ‘the cut’ in the Inter Boys hammer. He just about managed to do this, as he was in eighth position after his first three throws. This was just as well, as he went on to throw a PB in the sixth and final round and move up one place, to seventh, with a National Standard performance. 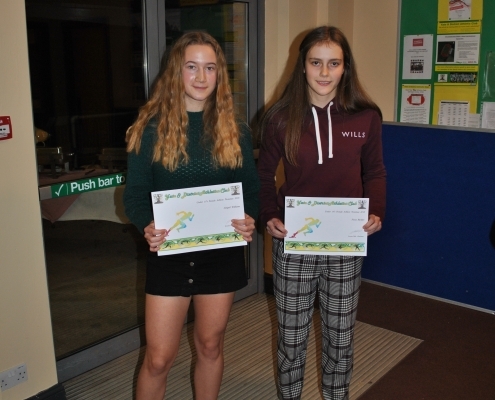 The hard work on the Yate High Jump training apron is obviously really paying off, as Fiona Barkley won a Silver medal in the Junior Girls High Jump with a National Standard performance and Luke Ball won Bronze in the Junior Boys High Jump, again, with a National Standard performance. 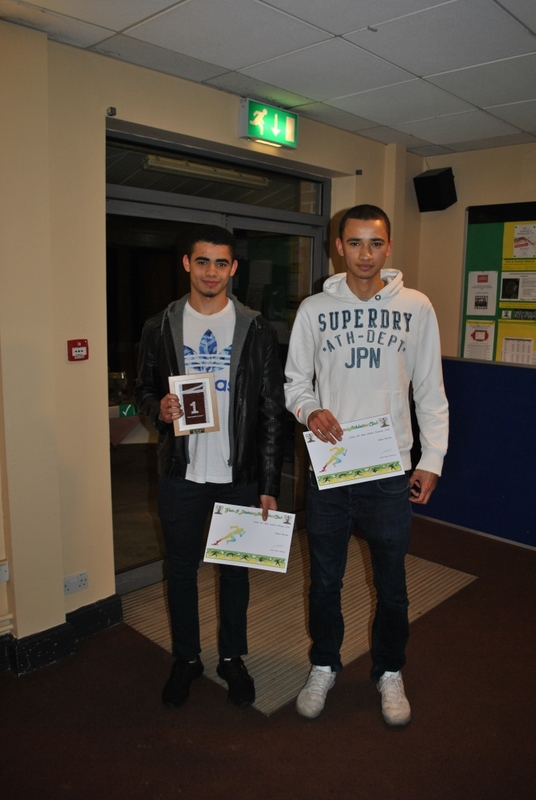 Both athletes competing in their first English Schools. In the Senior Boys age group, Jack Moore finished a very creditable 11th place. Dan Brooks won his Senior Boys 100m heat with an Entry Standard, he then finished third in his Semi Final, again with an Entry Standard. He then finished fifth in the Final, again with an Entry Standard performance. 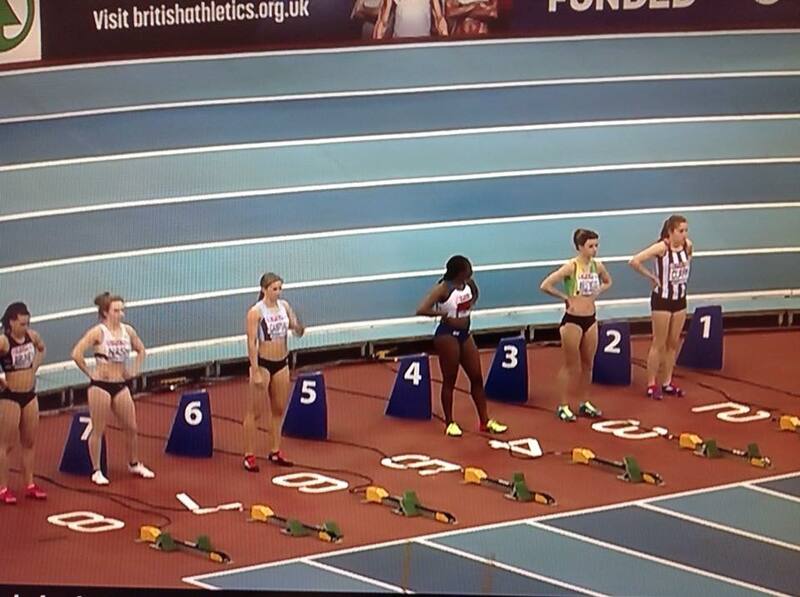 Hannah Hobbs finished in Seventh place of the Senior Girls 3000m with a National Standard performance. Dalis Jones finished eighth in her heat of the Junior Girls 1500m, with an Entry Standard. Max Elliot and Isaac Cory both finished in seventh place of their respective heats of the Inter Boys 200m. Nathaneal Mitchell finished fifth in his heat of the Inter Boys 400m. An away win in the searing heat takes us back to the top of the league! 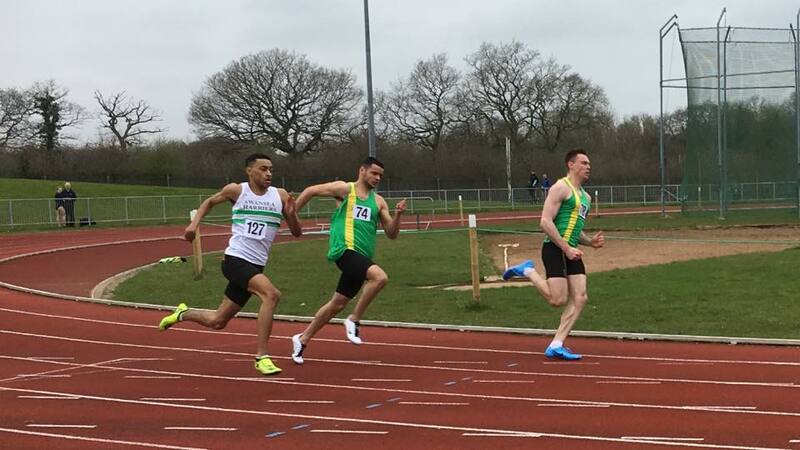 The team responded brilliantly to the disruption caused by the late cancellation of the Hammer and Discus and injury withdrawals to take an away win and return to the top of the league by one league point from Birchfield. Tamworth continued their season of consistent performances with second place on the day and pipping Birchfield by one match point, followed up by Cheltenham & County, Notts and Wolves & Bilston. The last match is likely to be between us and Birchfield for the league victory with Cheltenham and Notts fending of relegation and Wolves almost certainly going down. Winning is great, but as importantly we had another great day out with athletes pitching in, multiple team debutantes adding to their experience, mutual support all round and athletes and supporters enjoying themselves. 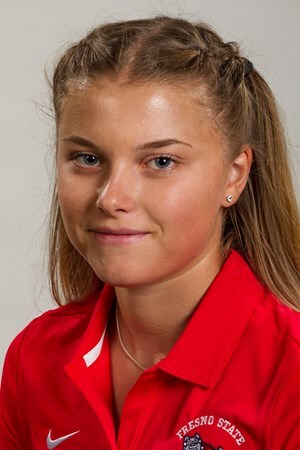 Sadie Gledson smiling all the way down the 100mH is a perfect example and she was also 3rd which isn’t bad for a long jumper who hasn’t trained for hurdles in years. Other examples that typify the teams commitment and spirit of adventure is Jo Smerdon advising our two male novice Shot Putters of Simon Hamman (horizontal jumper) and Tim White (vet endurance runner) on how to get legal throws; Jess Mead (Hammer thrower) travelling just to do her ‘help out’ event of the 400mH; and Jodie Dale doing the same for the Javelin despite her Discus being cancelled. It is unusual to have so many debutantes at this point in the season, but it is part of the teams remit that we offer athletes additional competitive opportunities. 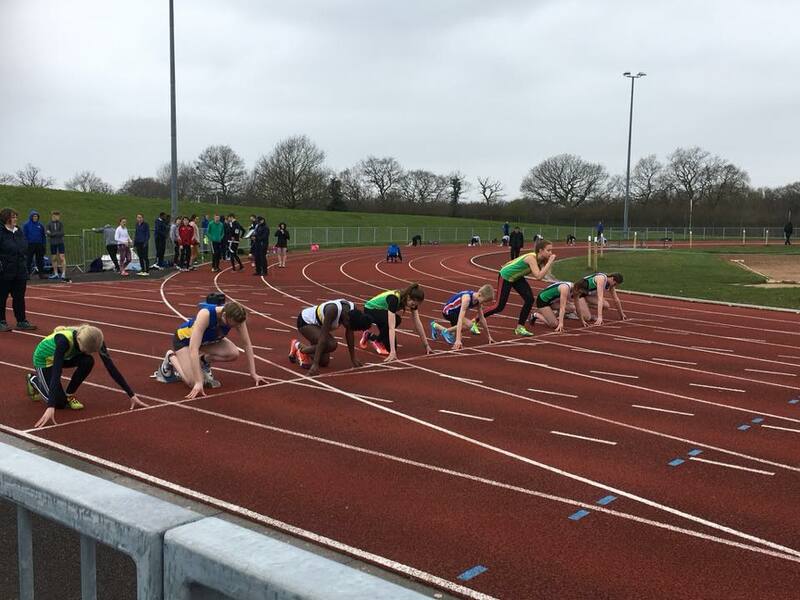 New to the team and this type of competition were James Casling (400mH and possibly the first s/chase guest in league history), Claudia Spice (1500m), and Amena Kofi & Olivia Knight in the 100m and 4x100m relay. 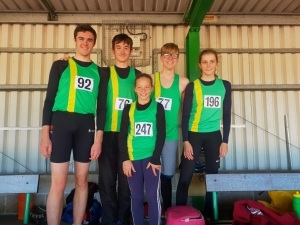 Familiar with this level of competition, but new to the Midland League team were Ben Tulloch, Mike Proffitt, Julia Cook, Olivia Wilding with remarkably her first 4x400m relay along with Hannah Hobbs, and finally a long term supporter of the team in Emma Jolliffe who ran her first individual team event. The next match is in Nottingham on the 5th of August when we have the chance to secure our second League victory in a row and have another good day out no matter the result. 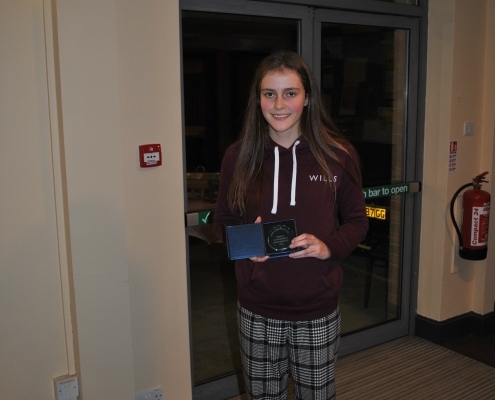 Yate finished second overall to North Somerset, by just 11.5 Match Points. 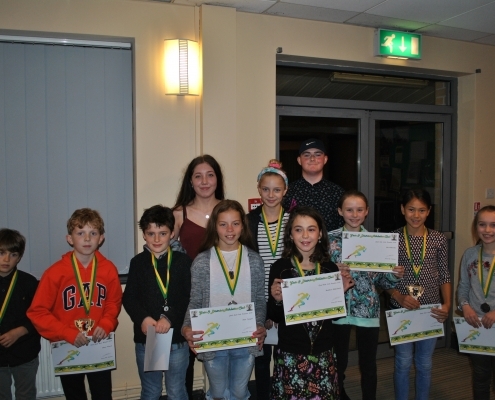 Our U11 Girls Quadkids teams made a stunning season debut. Team-mates, Arisa, Natasha, Lilia, Amy, and Maddison finished in first place! 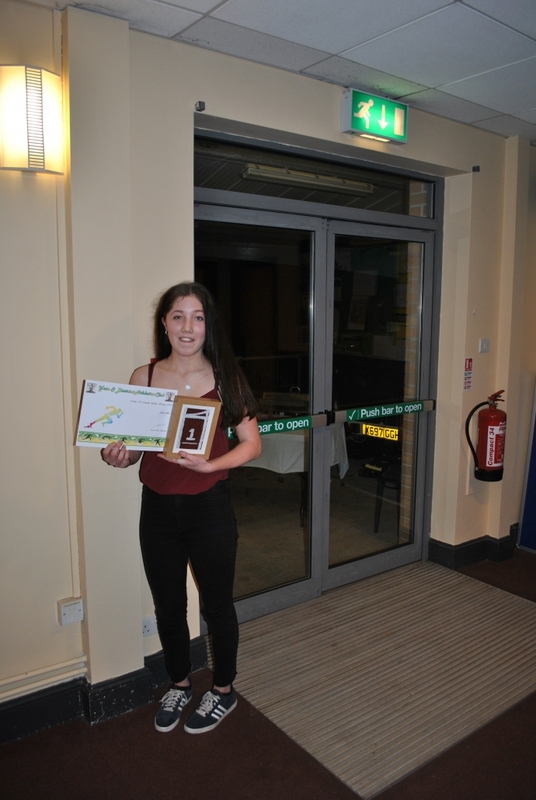 Amy Nolan broke her own Yate AC standing long jump record with a huge leap of 2.09m, beating team mate Natasha by 1 cm! 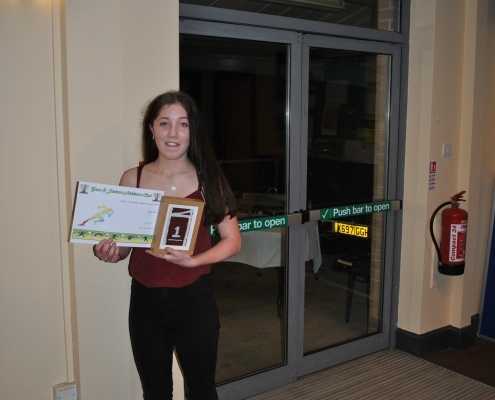 Arisa Burgess achieved the top girls score of the match with 234 points, which is a new Yate AC record and also places her in 2nd position on the Quadkids all time Top Twenty score board! Our Senior Women and U15 Boys also won their Age Group. Winning this third, and final, match sealed Team Avon’s status as League Champions, beating Cardiff AAC by two League Points. Results on the Bristol & West website. Unfortunately, despite all our best efforts we remained in 5th place at the end meaning we will head to the promotion final in Swindon on 21st July. 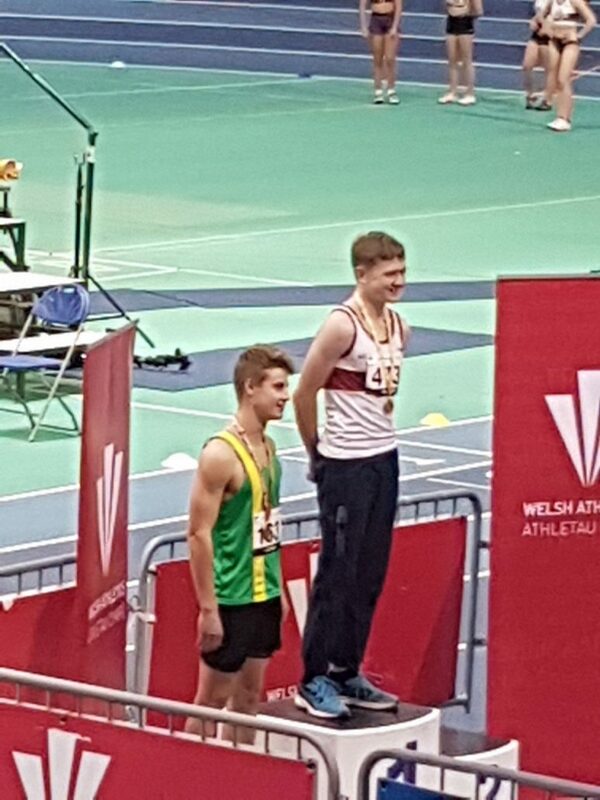 A great day for Owen Merrett, following his disappointment the day before at the South West Schools. 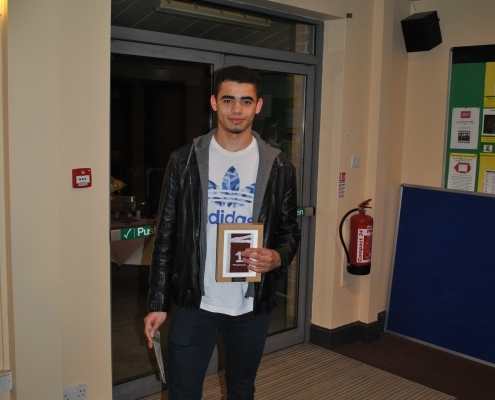 He sailed to Second in the UK Rankings for the U15 Hammer with a massive new PB of 48.83m (AAA Grade 1 performance). 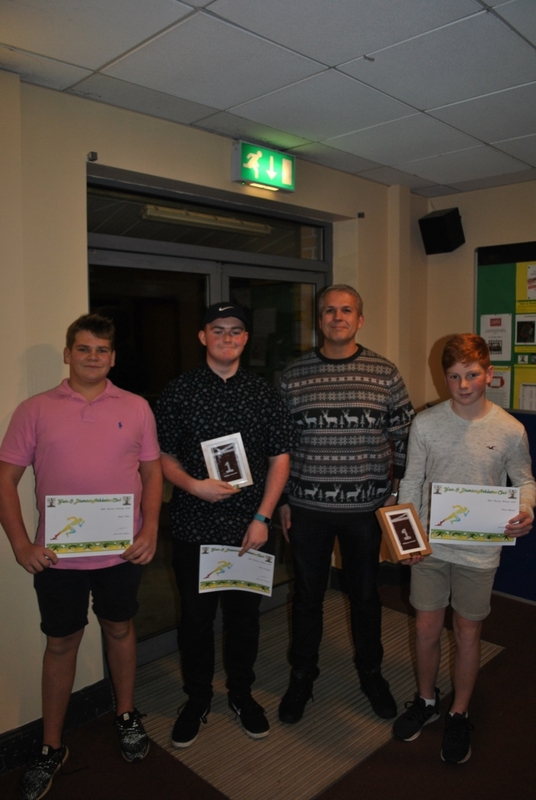 Swindon’s Harry Ricketts (UK Rank 2) faced up against the two boys from Yate, Owen Merrett (UK Rank 4) and James Viner (UK Rank 5). 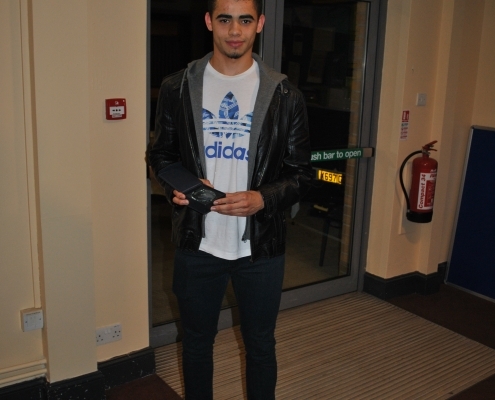 On this occasion it was Owen who took the honours, with his first round performance of 46.02m. 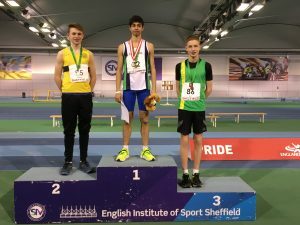 A new personal best and an English Schools National Standard. We followed up our win in the first match with a gritty ‘roll your sleeves up performance to just take 3rd place with 2nd not too far off, but 5th or 6th a bit too close for comfort. There was no question that the competition has gone up a notch in this league with higher turnout and strong performances all round. After two matches we are 2nd in the league, just one match point away from Birchfield Harriers, 1 ahead of Tamworth, 3 ahead of Notts with Wolves & Bilston and Cheltenham struggling 7 points back. The Team Managers agreed that this match was one of our most difficult to fill in a long time, but in the end we had only 2 gaps out of 82 team spots which I think is the best turnout since we became involved. Some of our regular were missing, but we had a fantastic team response in advance and on the day to fill the gaps, and that is unquestionably what made the difference in securing 3rd place on another incredibly hot day. 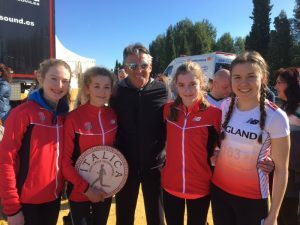 Highlight of the day for me was the response of the three U17’s Lexy Bond (TJ), Sadie Gledson (LJ and team debut), Emily Whittaker (middle distance, and team debut) along with Ana Maria Duran Mingo (middle distance) in volunteering to do the obstacle races of the 100mH and 400mH. All of these athletes ran the risk of compromising their main events to cover these vacant spots. Thanks also to Henrietta Anstey for considering the 100mH but finding she was just too vertically challenged but also doing a fine job helping out younger athletes through the day. 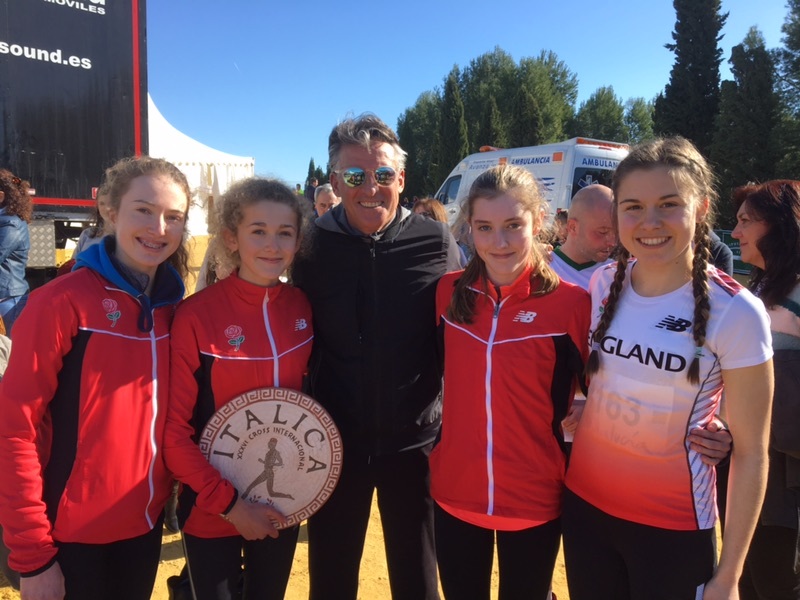 Emily Whittaker (400mH, 1500m and TJ) and Rosie Hamilton James (3000m) also pitched in to the 4x400m relay along with Daisy Ackerman (800m, 400m) and our established lead of Georgia Taylor. 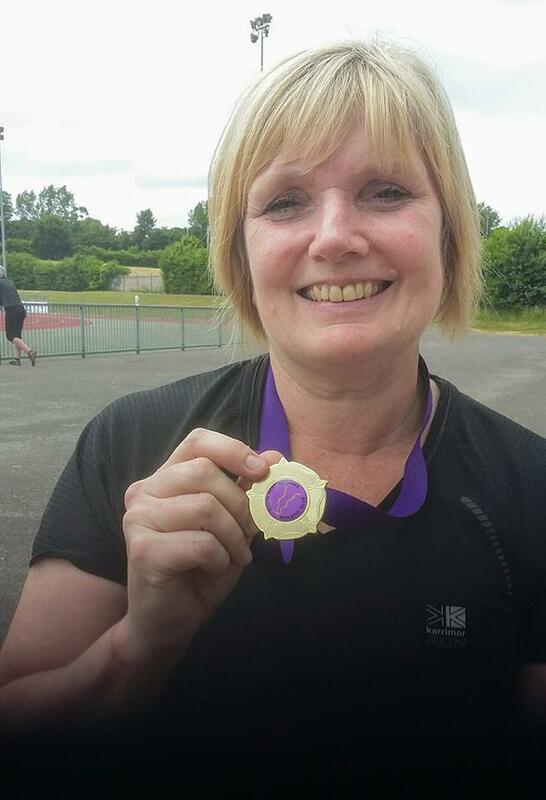 It was a quiet day for our ever reliable Sarah Everitt with “only” the middle distance double of 800m and 1500m. 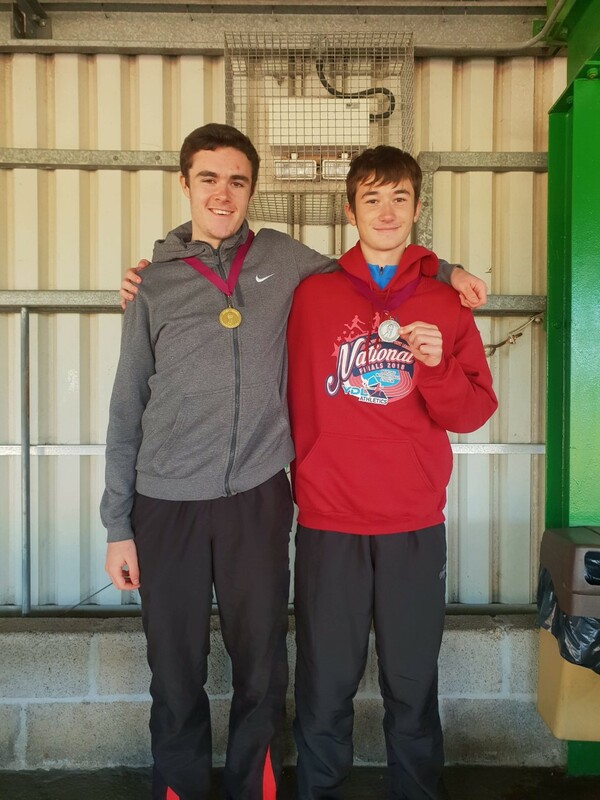 Other have a go heroes were Darren Tremble in his team debut and doing the Hammer, Javelin and the more familiar but rusty 400mH; Tim White in the Shot Putt and 3000m S/C; Robbie Stewart doubling up in 400mH and 3000m s/c; Jonny Shine returning to the team to fill the Long Jump, Triple Jump and Pole Vault slots with Liam Hillier also filling in the Triple Jump and 100m relay on top of his regular events. Matt Spicer did his usual cover job competing in three events (Hammer, Shot and Discus) and said the Hammer throwing of Darren had shown him things he’d never seen before – it’s never too late to learn Matt. 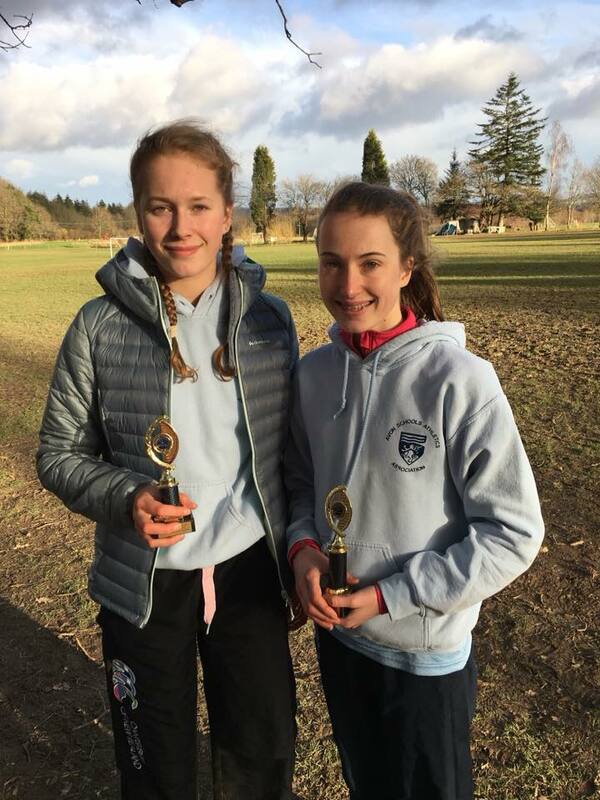 Our female throwers did a great job of covering all events between them – Jo Smerdon, Karen Jones, Anhya Kerr, Jodie Dale (U17 and winning the B string Javelin on her debut) and Maria Townsend who gave up competing in her own event to help out the team. 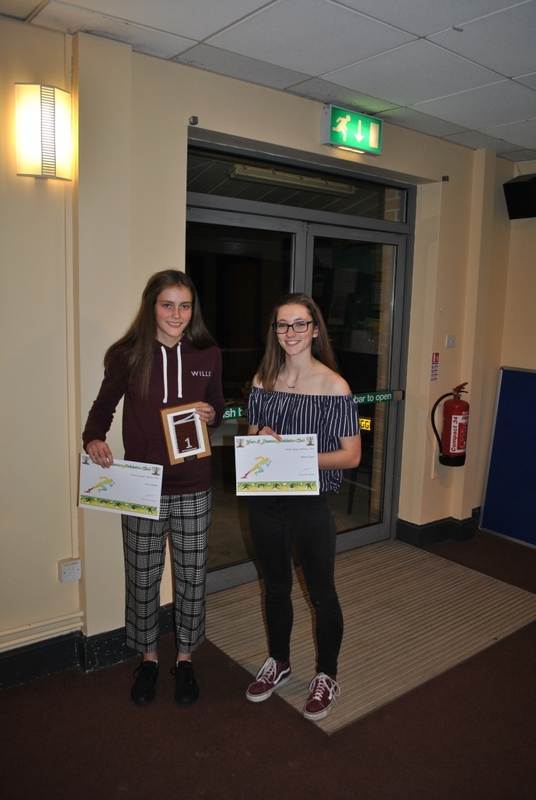 Hannah Lewis (U17) kept the flag flying in the women’s pole vault and Lucy Durham pitched in with the High Jump in addition to her normal Triple Jump with Emily John going from High Jump to join our three established sprinters in the 4x100m. There were great performances from our sprinters with a double win in the 100m for Tia Jackson and Dan Brooks in the tricky outside lane that ended on a concrete cycle velodrome. 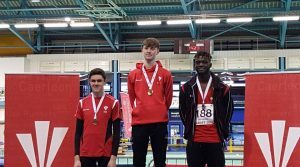 They were backed up in the B string by team debutants Zara Gabbidon and Tai-Jan Diedrich; double wins in the men’s High Jump A and B string for Jack Moore (also 110mH) and David Thomas; super savvy run from U17 Rosie Hamilton James in the 3000m; thrilling runs in the men’s middle distance races with a 1st and 2nd in the A and B string from Ben Robinson and Adam Wilson and a charge for the line in the 3000m with David Awde and Luke Evans giving us a 3rd ( 0.1s from 2nd) and 1st in the A and B strings. I’ll never say no to a match where we win lots of individual events and take the day, but events like Wolverhampton when everyone pitches in to give it a go are great. Thanks to everyone who competed, supported and our brilliant officials who yet again got us full points and are as much a part of securing 3rd place as anyone. The next match is closer to home in Cheltenham on the 8th of July. 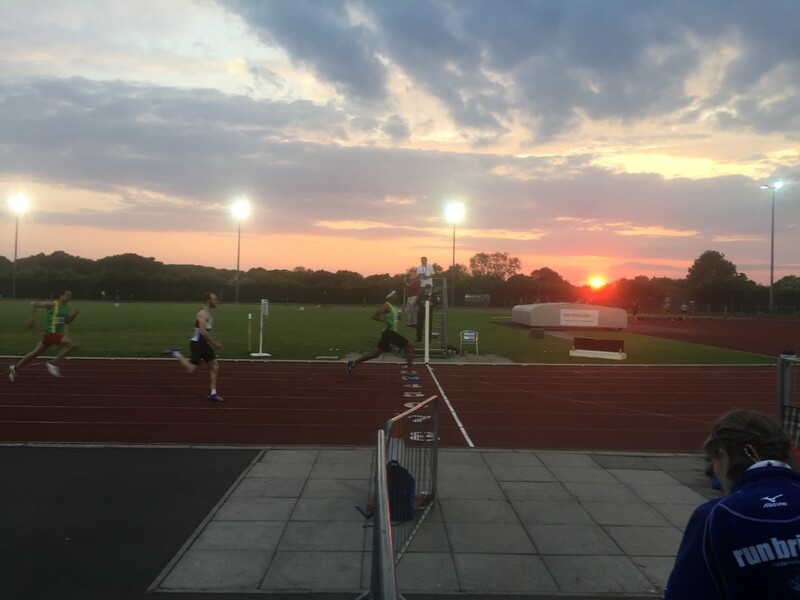 Men’s SB’s: Rob Phillips (200m), Andrew Dean-Young (400m), Abdi Hasan (800m), Ben Robinson (1500m), David Awde (3000m), Luke Evans (3000m), Jack Moore (110mH), Darren Tremble (400mH), Jonny Shine (LJ & TJ), Matt Spicer (SP & DT). 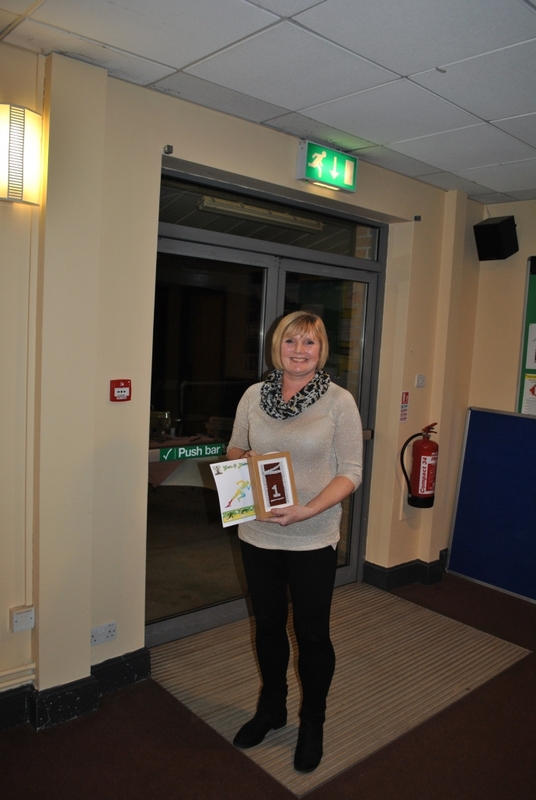 Cardiff AAC used home advantage to reverse the result from Round One, leaving Team Avon in second place. However, Team Avon still top the table, by 74 Match Points. Well, that was a hot one!! Possibly one of the Country’s most interesting and as it turned out, exciting competitions, saw the UK Number 2, Owen Merrett, up against his training partner and UK number 4, James Viner. As if that wasn’t enough, both lads had to also face the UK number 3, Harry Ricketts from Swindon. On the day it was Ricketts who took the spoils, who set a new PB and Championship Record in doing so. Frustratingly, this was just a mere 3cm ahead of Viner. We won 57 medals in total, this is an improvement of one medal on the 2017 total. Brett Morse (Cardiff AAC) the 2012 Olympic Discus thrower, set a new Championship Best Performance. His Brother Jay Morse (Cardiff AAC) attained the 56m qualification mark for the European Junior Championships Discus Throw. You can’t get better than a home win to start the season and that is what the combined Bristol & West/Yate & District team delivered at Yate. As League Champions you have a target on your back, but our regulars and new team members delivered on the day. In the end, we won by 26 points in 408 from a strong but incomplete Birchfield team with Tamworth coming in 3rd after assembling a full team to travel on a Bank Holiday weekend. 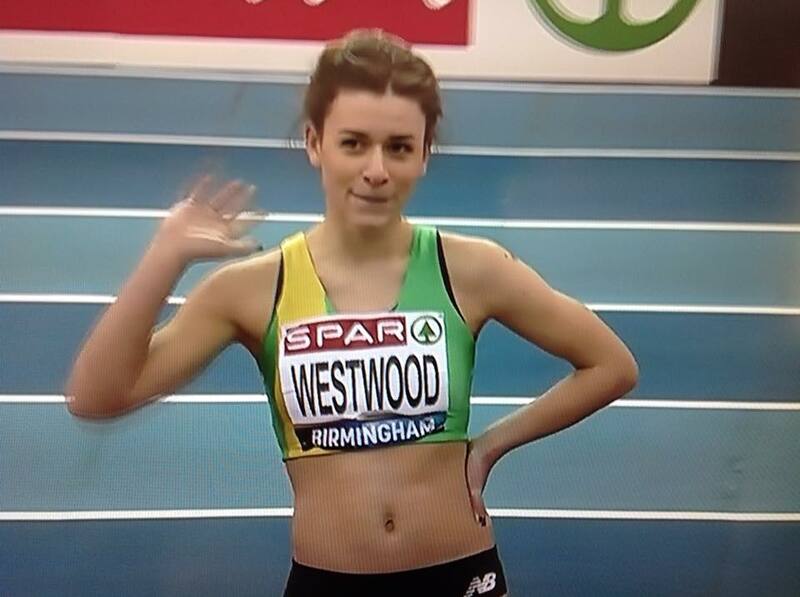 Notts AC, Cheltenham and Wolves filled the rest of the places. Our field eventers led the way and finished as first women’s and men’s team. 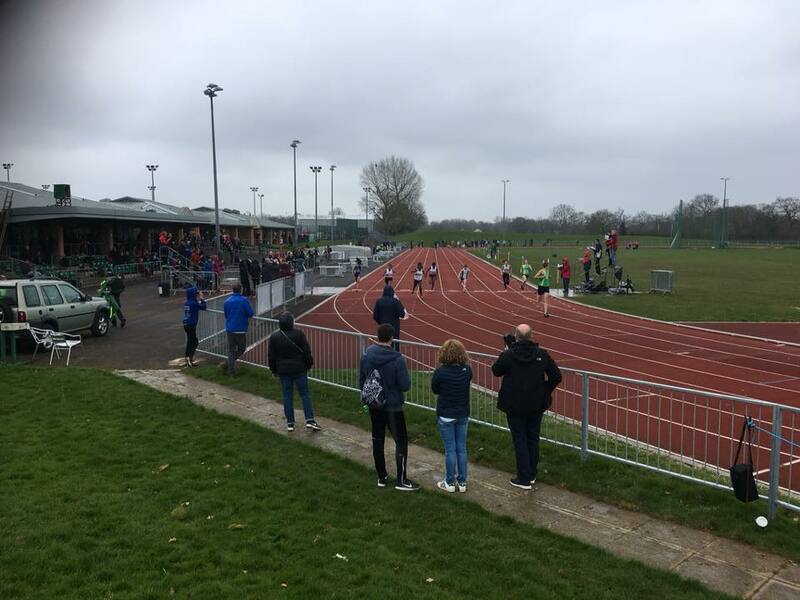 Our women’s track athletes were second to Birchfield with Notts not far behind while the men were third behind Tamworth and Birchfield with Cheltenham close behind us. With so many clubs in the mix it could be a very interesting year. PB’s and SB’’s are listed below. While it’s not surprising to have such a long list of SB’s at this time of the year, there are plenty of PB’s which has good to be a good sign for those athletes. 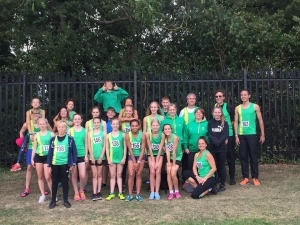 This team is about more than how far, high or fast, so well done to our first year U17’s, masters and all between who competed in the league for the first time. Hannah Lewis celebrated by getting a 20cm PB in the Pole Vault; Liam Hillier filled his boots by competing in four events (1 PB and 1 SB); and Tim White (Vet) fancied doing the s/chase for the first time since school, did one trial race and then also added the 400mH on Match day to get the complete experience. 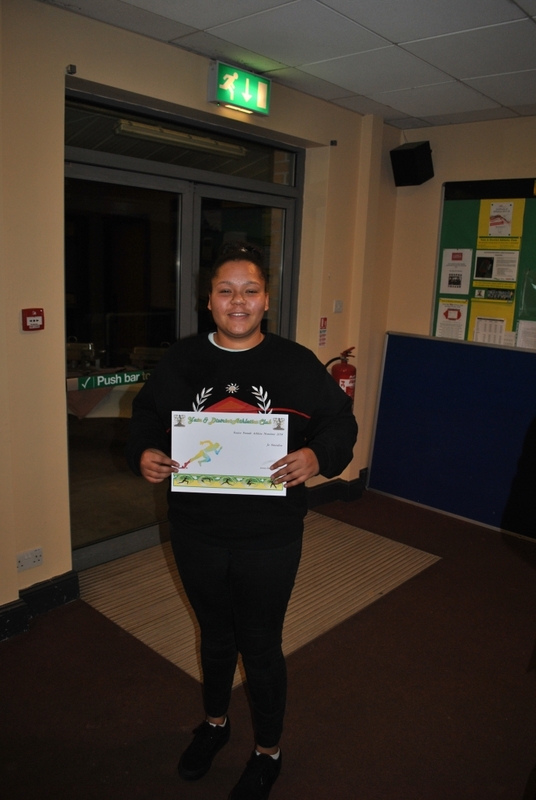 Of our regulars, Anhya Kerr turned up just before the Javelin started, collected her numbers, won the A string and went home with a season’s best – great stuff Anhya. Matt Spicer keeps leading from the front as athlete and coach with a win in the first event of the day (Hammer) and one of his training group, Toby Conibear, winning the B string. Andrew Thomas arrived for the Discus while others were thinking of leaving, popped out, and won the A string with Matt bookending the day with him in the B string. Relays are always a likely source of drama and in this case it was the men’s 4x400m that delivered. Tom Pallot was our only recognised 400m man and led us off brilliantly to be at the front. 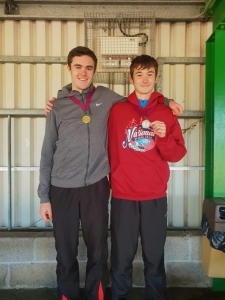 The next two legs had Kurt Taylor (1500m and 3000m at the British Athletic League the day before and 1500m on the day) and Ben Robinson (5000m only 20 mins earlier and even less notice he was running the relay) who both ran like the wind to have us in a welcome but surprising first place. Up steps Liam Hillier in his first year as an U17 and after three events on the day. Taking over in first place makes is a scary place for an experienced 400m runner, but youth doesn’t know that and off Liam went in front of a screaming home crowd. He never looked phased and kept himself going right to the end to secure an amazing fourth place. Thanks to everyone who competed, supported and willed us on. We roll on to Wolverhampton on Sunday the 3rd of June and the cycle of Team Managers checking availability will start again soon. Results are not on Pof10 yet but will be soon. There are usually a few club affiliation errors and we will get them fixed. 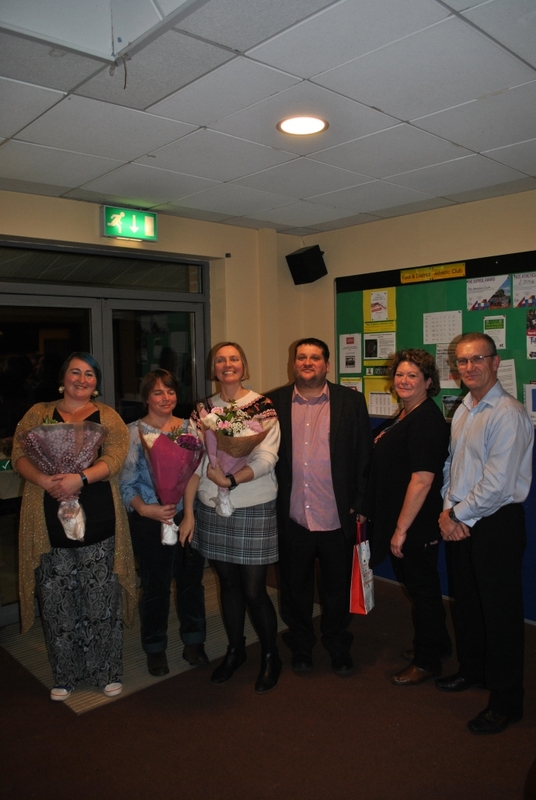 Team Avon comfortably won the match with 724 Match Points, ahead of second place Cardiff AAC, on 607 points! Ellie Leather ran 2.11.16 for the 800m in California, finishing a close 2nd in her race. This took 2 seconds off her PB and it also broke the Yate 800m Senior Women Club Record of 2:13.0 set by Joanna Presley in 1988! 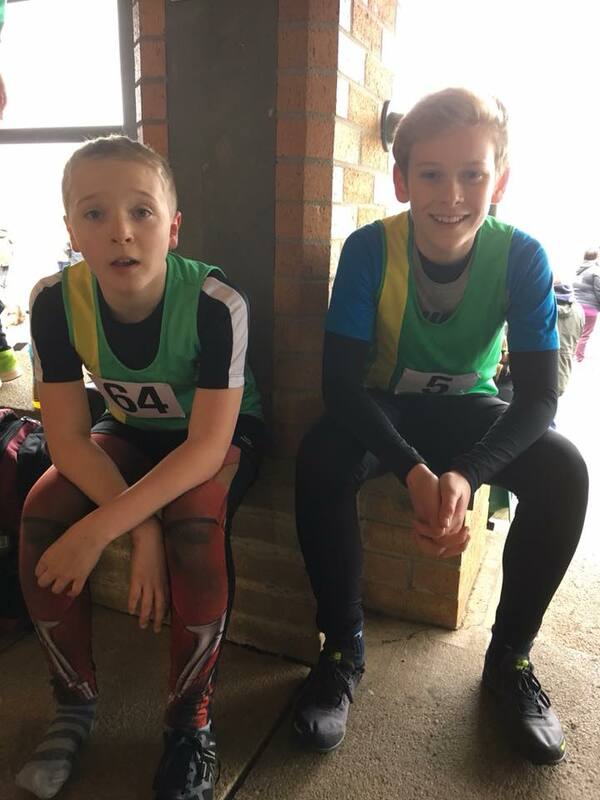 Continuing their Hertfordshire family break, the Merrett brothers took some time to compete at Lee Valley on the Easter Monday Bank Holiday. Owen Merrett couldn’t emulate his brothers Discus performance, as he threw 24.01m, which was just 6cm down on his PB. 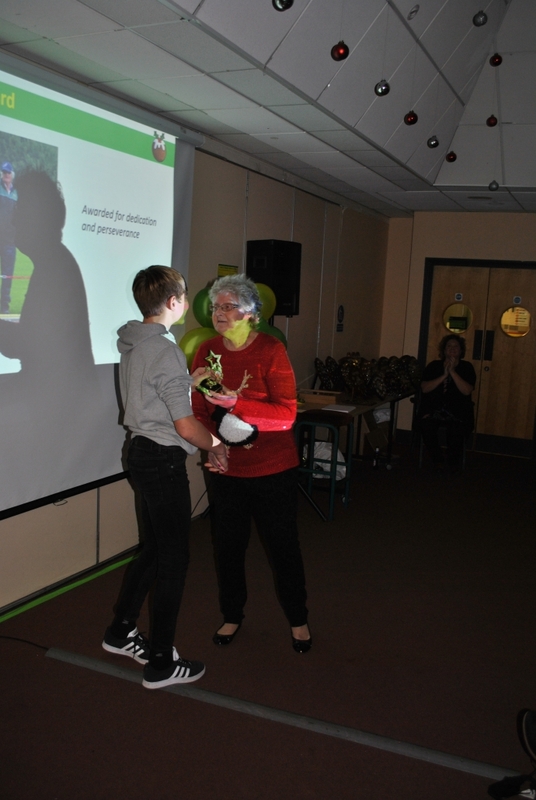 He did however increase his U15 Hammer PB by a further 53cm, setting a new best of 41.59m. 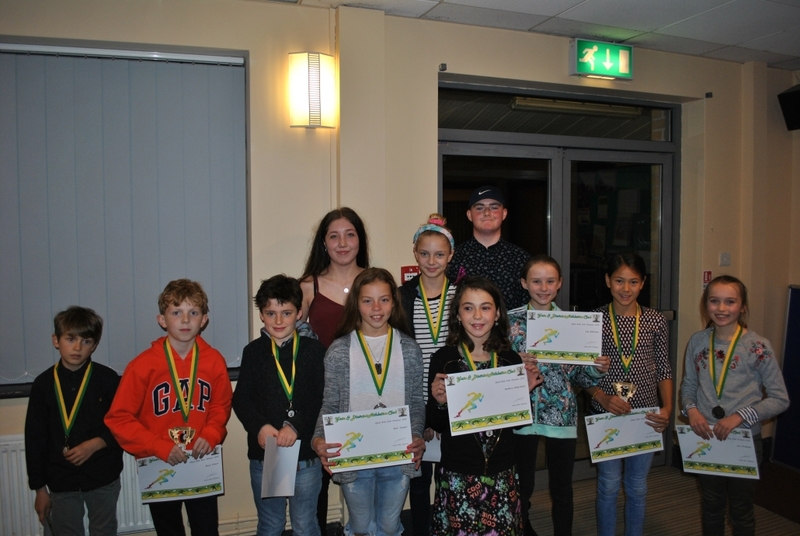 Taking advantage of a trip to visit their relatives, the Merrett family managed to find some time to compete in a Welwyn Open Meeting. Adam Merrett threw two new PB’s. Firstly, in the U13 Shot Put with 5.55m and then in the Discus with 15.54m, Adam then completed the day with a 11.52m Javelin throw. 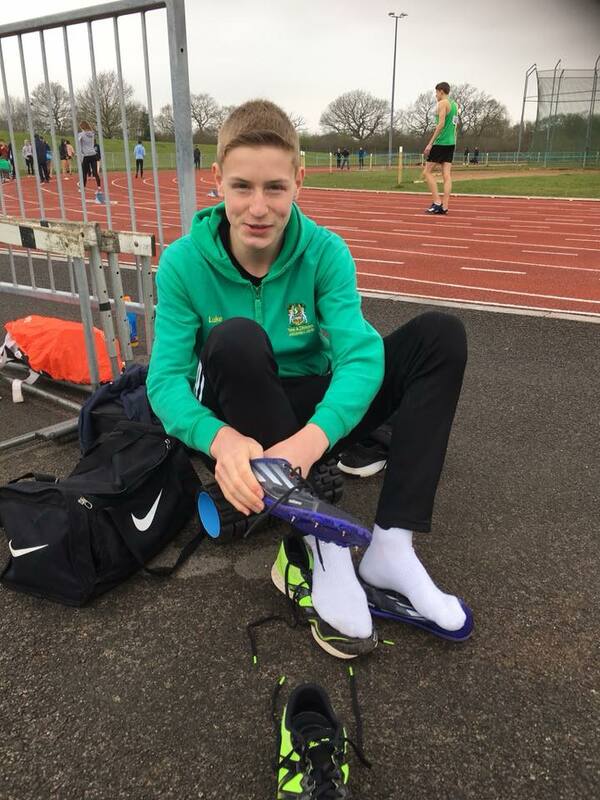 Older brother, Owen Merrett, threw a new PB in the U15 Hammer with 41.06m, the third time he has surpassed the 38m English Schools Entry Standard this season! He also threw the Discus 22.24m. Owen completed a busy day in the Javelin with 29.94m, just half a metre down on his best from last season. The first thing to report is that the “Yate AC Throws and Jumps Spring Open” raised a very impressive £503.30 for Sports Relief. 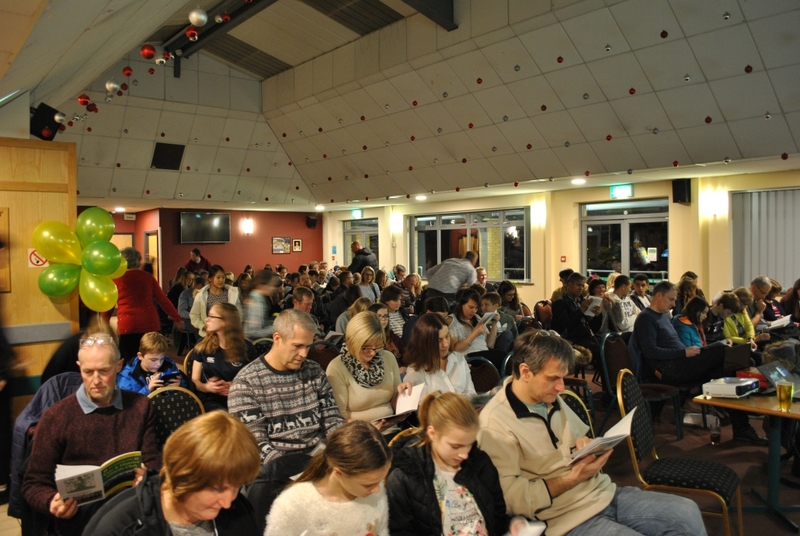 Secondly, we think the event was a great success. We had 70 athletes from 19 clubs who took part in a total of 121 competitive performances across 7 disciplines (PV/HJ/LJ/HT/DT/SP & JT). 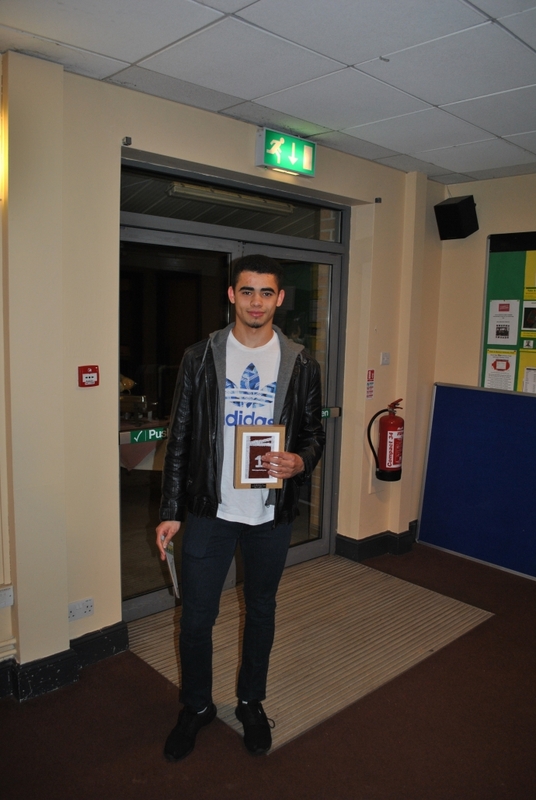 James Viner became the second member of the “Hammer Squad” to achieve an English Schools Entry Standard. As a Junior Boy (U15), James needed a distance of 38m. He easily surpassed this with a first round effort of 39.28m. Although down on his best, Owen Merrett also surpassed the 38m Entry Standard for the second time, with his last round throw of 38.49m. Owen also threw a PB in the shot with 8.12m. Toby Conibear threw a comfortable 49.36m in Round One, but failed to progress his distance any further during the rest of the competition as he chased the 50m Inter Boys (U17) English Schools Entry Standard. Conditions under foot were very, very heavy as the ground was very wet due to the snow and rain of previous weeks. Conditions were in fact so bad that athletes were unable to walk the course prior to racing. 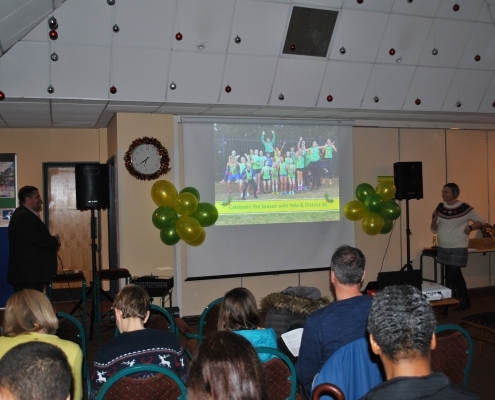 Instead, athletes had to make do with a drone film, to familiarise themselves with the course! 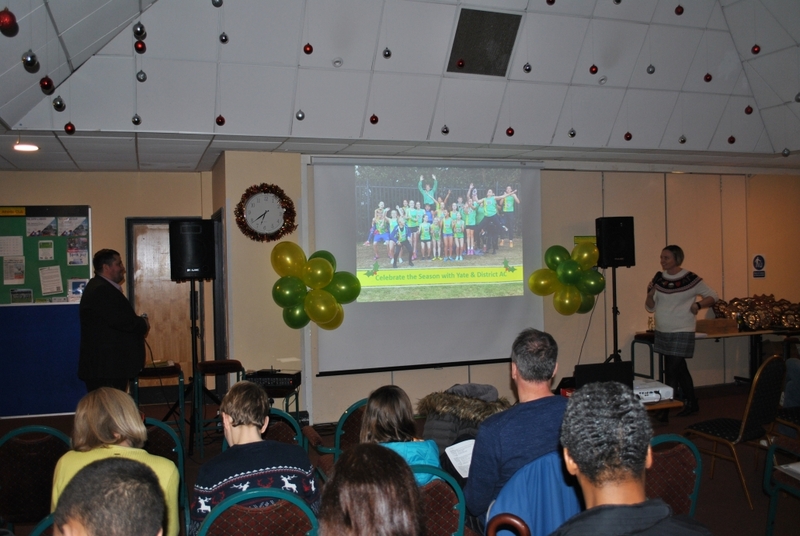 Two U15 members of the “Hammer Squad” opened their 2018 account at this annual Open Meeting in Swindon. Held on a day where bitter temperatures and snow was promised, conditions were never likely to help big performances. Like Owen, teammate, James Viner, also threw a new Personal Best of 36.12m, but unlike Owen, James waited until the sixth and final round to unleash his best throw. 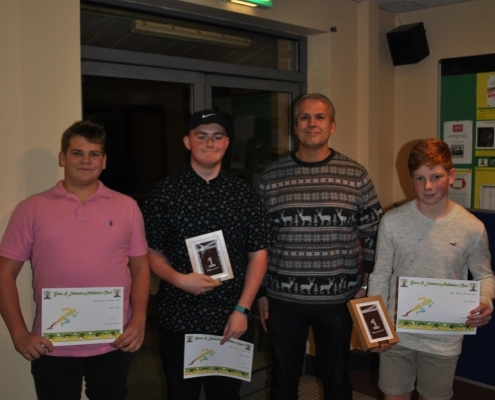 The battle to be Wiltshire’s best U15 Hammer Thrower this year promises to be a very interesting one, as the Yate lads are joined by another English Schools prospect, the Swindon thrower, Harry Rickets, who also managed a Personal Best of 39.54m. 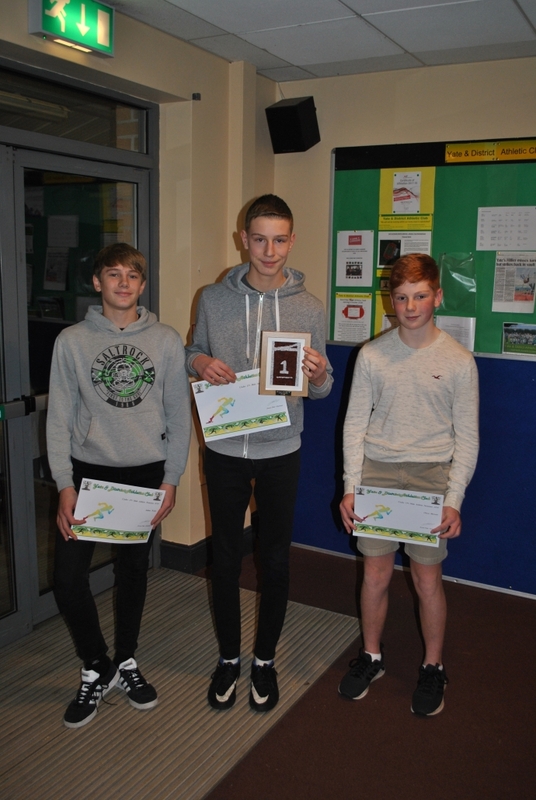 Congratulations LUKE BALL who came 5th in the U15 Boys Pentathlon with 2393 Points. With the Championships being held in Sheffield, it was an especially long day for Luke. Along with the long travel, his first event was at 11am and last event at 7pm! Its worth noting Luke is a first year U15 Boy and that three of the athletes who beat him are in their second year. British Masters Indoor Championships, incorporating the British Winter Throws Championships. Karen entered the championships looking to defend the “Double Champion” title she won last year. However, after waking up feeling ill on the morning of the competition, Karen had to make a last minute decision as to whether she was actually fit enough to compete. Fortunately, she decided to go ahead, as much to her surprise, she managed to launch her 3kg hammer 34.84m. Amazingly, this distance was just a little more than 2m down on her lifetime best but, annoyingly, she was pipped to the Gold Medal by a mere 4cm. Maybe buoyed on by her performance in the Hammer, Karen then went on to throw “The Weight” (a 7.26kg shot with a handle attached) 11.27m, half a metre down on her Personal Best, but enough to secure a Gold Medal. As the Indoor Track & Field season draws to an end and attention starts to shift towards the summer season, it looks as though Karen’s winter training has paid off and she can look forward to the season ahead. 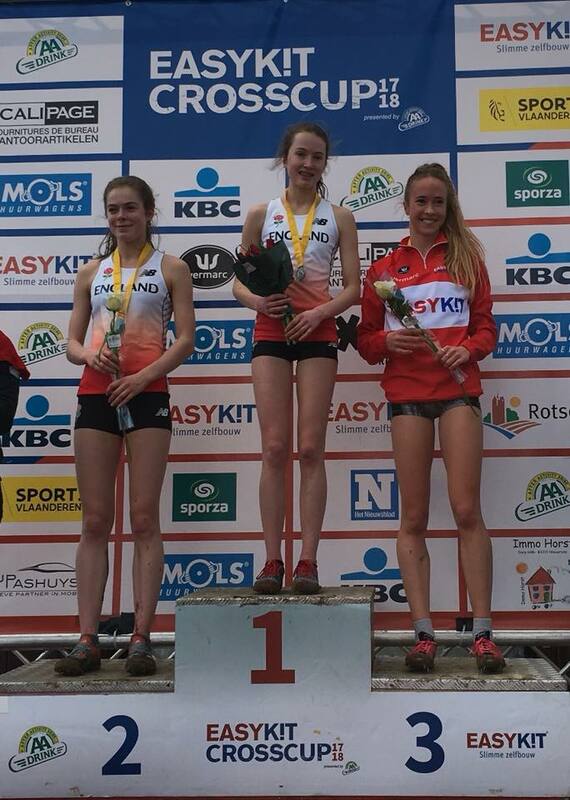 Hannah Hobbs, competing in her second England U20 International Cross Country Competition, went one better than the Silver medal she earned in Seville, by taking the Gold. 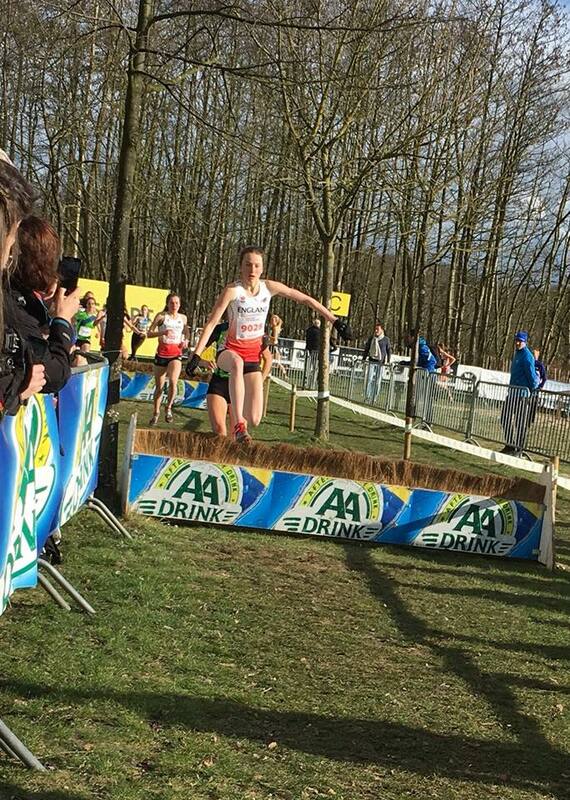 Hannah went round the 4.2km course in 14.58s, beating her nearest rival England team mate Francesca Brint by 5 seconds. DOUBLE SILVER FOR LUKE BALL! Long jump 5.41m, which increased his PB by 20cm. High jump 1.65m, equalling his PB and enough to secure joint second place. 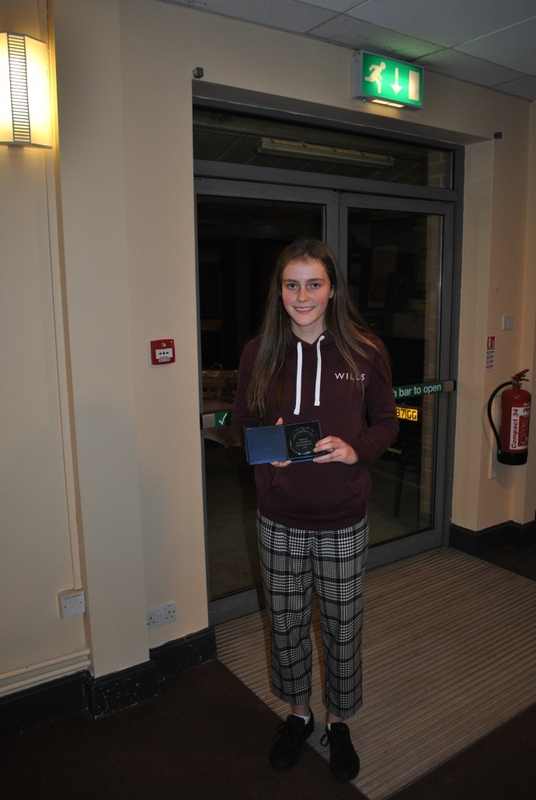 Emily John finished in 9th, equaling her Seasons Best of 1.50cm, in the U17 Ladies High Jump. 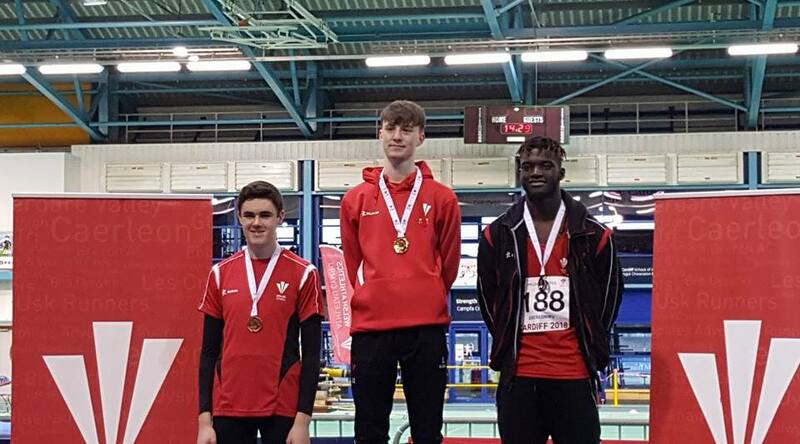 Congratulations to High Jumpers Jack Moore and David Thomas, who picked up a Gold and Bronze medal at the Welsh Junior Indoor Championships, both jumping a Seasons Best. Team Manager, Pat Gallagher, described the course as hard and muddy one with lots of tough climbs. 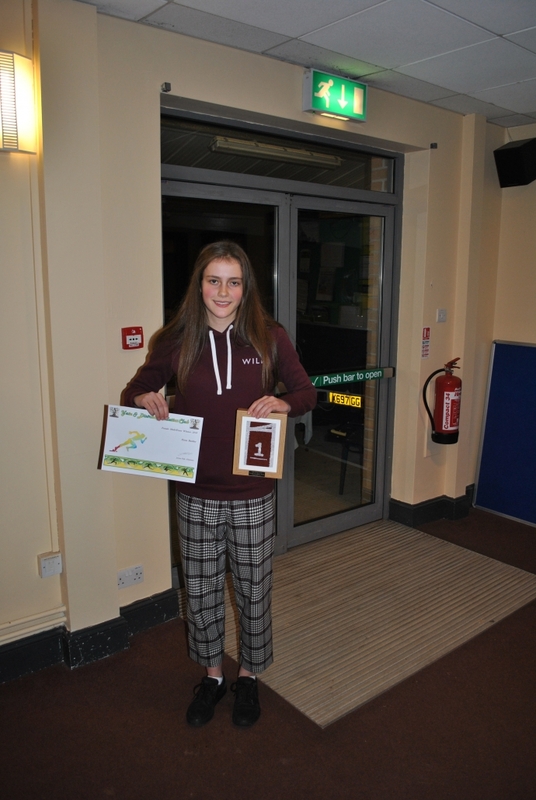 England International, Hannah Hobbs, again stole the show, winning the Senior Girls competition. 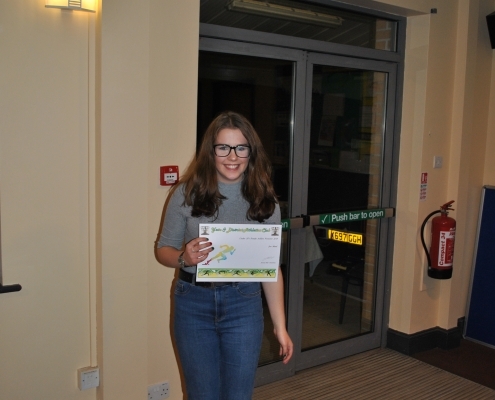 Hannah, who said it was a tough race, but still managed to cross the line nine seconds faster than her nearest rival from Dorset. 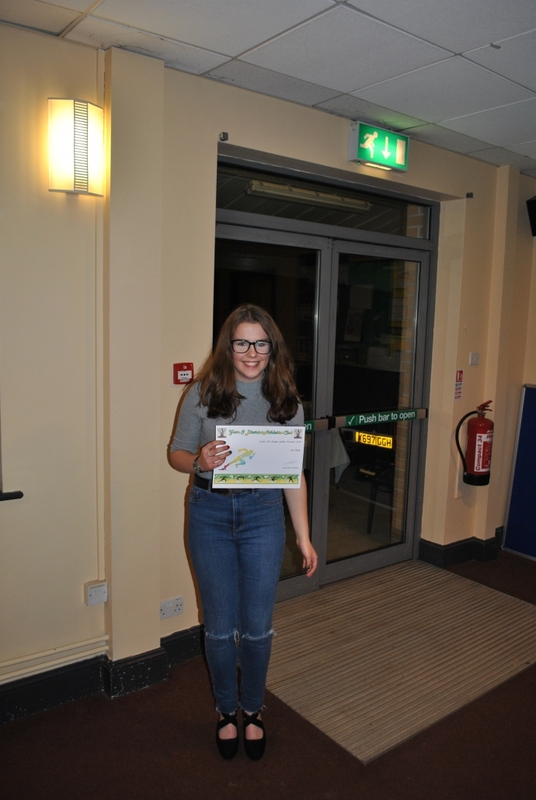 Sister, Ellie Hobbs, also did fantastically well, finishing second. Ellie was told to “run as she felt” and perhaps started the race slower than she normally does, but she had such strength to pull them all back and bring home a Silver. This should give her plenty of confidence for the rest of the season. 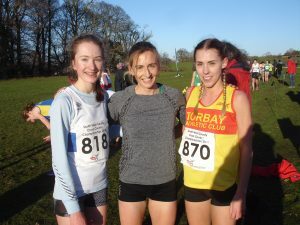 Katie Howard deserves a mention, as she had an excellent race and finished in 9th, as does Rhiannon Patton, who is improving with every race and this time finished in 16th. There were questions over health/fitness with two of the boys, as both Seamus and Abdi apparently seemed to be suffering with a bug and finishing down on what they would probably be hoping for, but still scoring well for the team. NOTE – Yate AC members compete as Westbury athletes for all XC competitions. 2nd – Kane Lee (51.54s) with a Seasons Best of 51.53s whilst winning his heat. 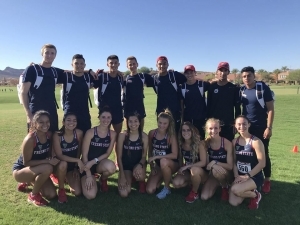 Yate/Westbury runner, Ellie Leather, had a great time in Washington racing for Fresno State Uni this weekend. First she saw Galen Rupp warming up, then Lynsey Sharp spoke to her as they were jogging round the track. The meeting was full of music, good runners and security and she raced on a blue track. 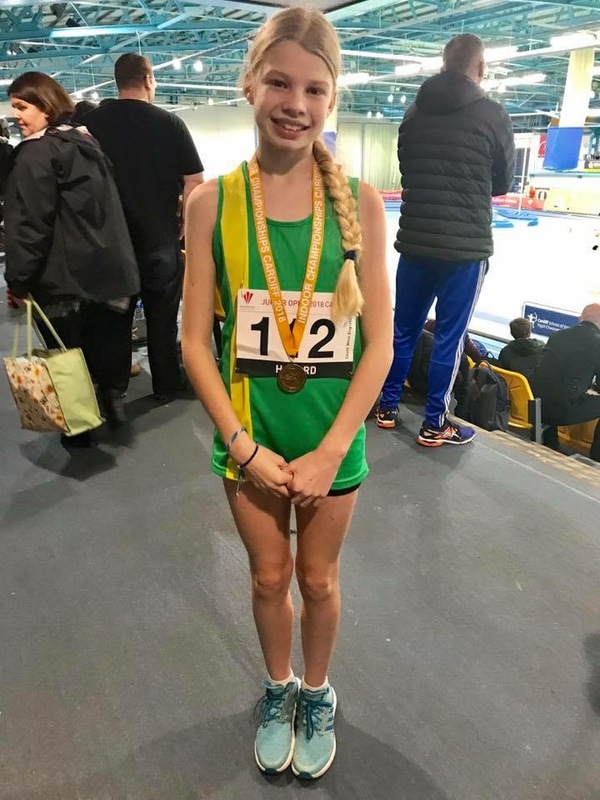 Ellie ran the indoor mile on track that was 307m long, she was in heat 2 of 6 and finished a very impressive 3rd place out of 13 in a time of 4.59.24. and her first sub 5 min mile. Why it was so impressive is that if it was a 1500m race she more than likely would have broke her outdoor pb (as it was she most likely did during the race). For the record her Great Aunt Diane Leather was the first female to break the 5 min mile mark 63 years ago. 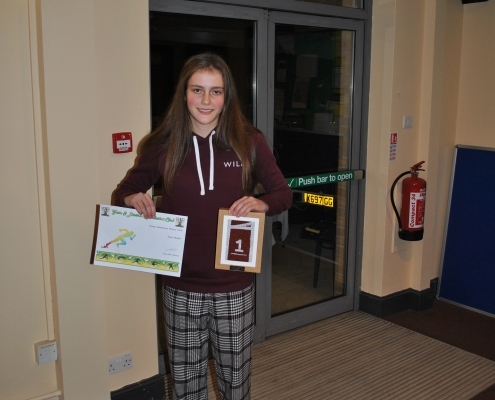 Ella Staveley (Year 8 – Under 13 Girls) won the Standing Long Jump at the Avon Schools Sportshall trials at Bristol Grammar School. She jumped a distance of 2.22m. Hannah Hobbs Wins U20 Age Group! 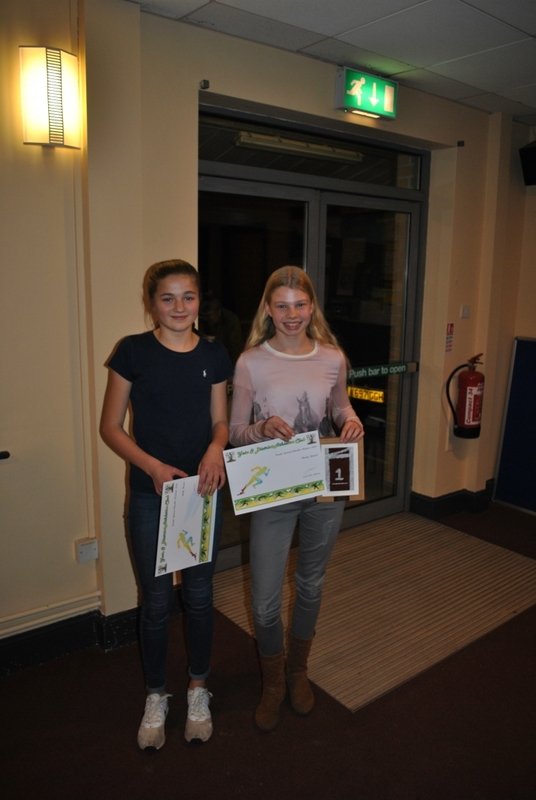 Hannah finished second behind the U17 Winner, Grace Brock, but was the winner of the U20 Age Group. A fantastic day at Blaise Castle, where the Yate/Westbury Alliance scored Two Gold, Three Silver and Two Bronze medals! In addition to Hannah Hobbs who was away on International duty, there were several of our athletes not running, due to injury and illness. 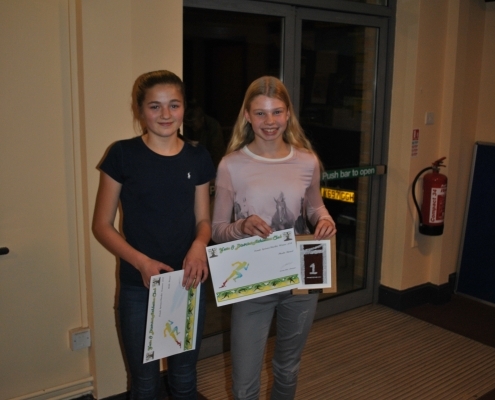 Hopefully they will have been put forward for South West Cross Country selection. 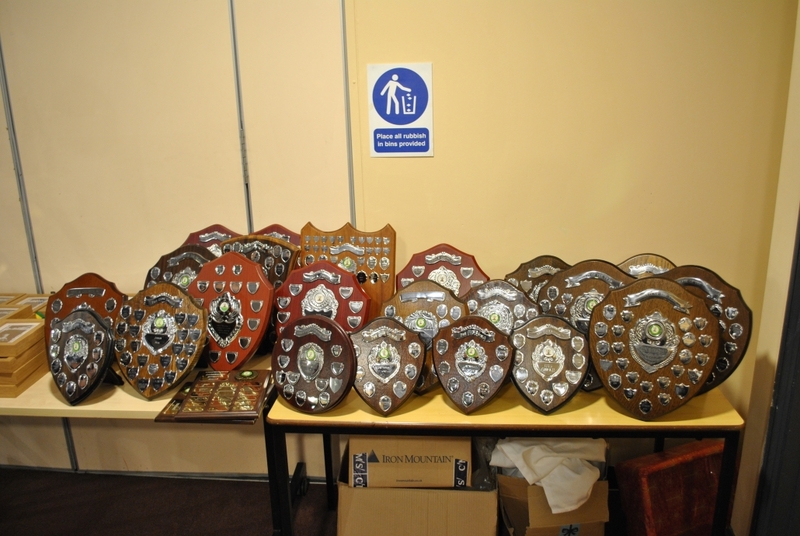 The South West Cross Country teams will be published on the Avon Schools web site within the next couple of days. David and Jack were ‘lucky’ enough to find themselves competing against 2012 Olympic Bronze Medalist, Robbie Grabarz, who opened his 2018 account with a leap of 2.30m, just 7cm down on his PB he set in 2012. *Note. 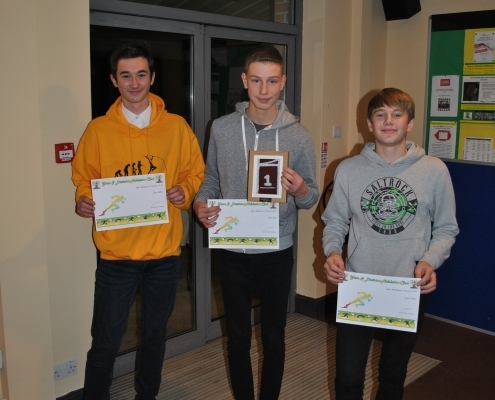 Members of Yate & District Athletic Club compete for Westbury Harriers in all Cross Country competitions. 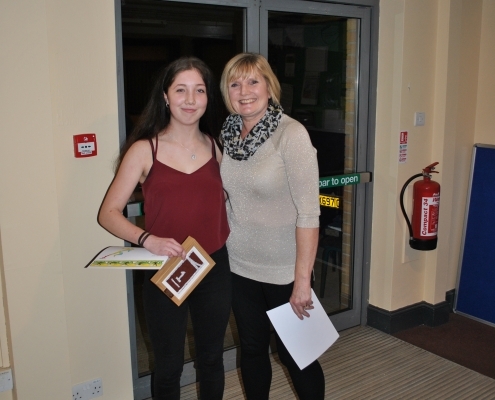 Star of the show was Hannah Hobbs, who won Gold in the U20 Women Category. Hannah Hobbs (left). U20 Women winner. This was Phoebe’s first Indoor event and at still only 10 years old, she managed to win the U13’s Gold in the 60m, with a time of 8.76s. She was the 7th fastest girl out of 67 girls entered, across the three Championships being held at the same time.